Taken part in the RSPB Big Bird Watch, looked for birds through binoculars, made nests for ground dwelling birds and revisited the bird feeders we made last term. Visted our hibernating hedgehog, the children were surprised at how long she has been asleep for. 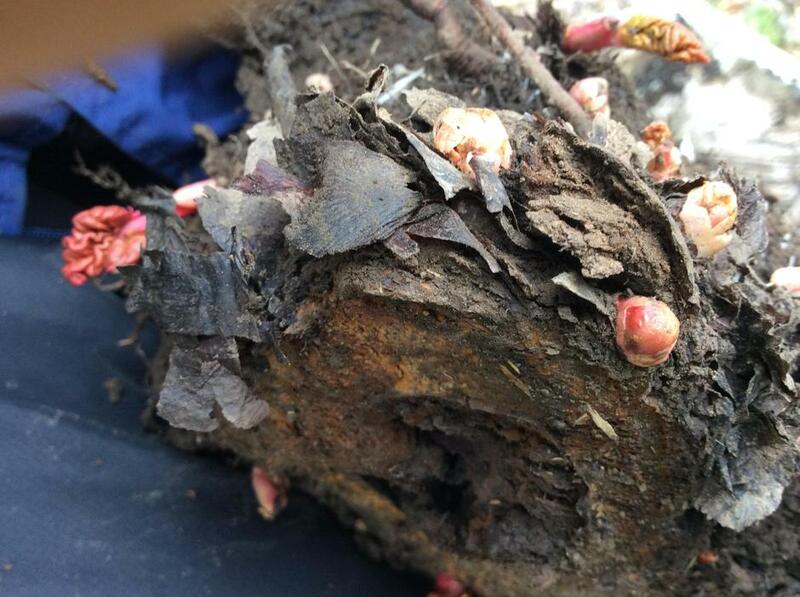 Explored the tree in the Wildlife Area that had been felled after being badly damaged in a winter storm. 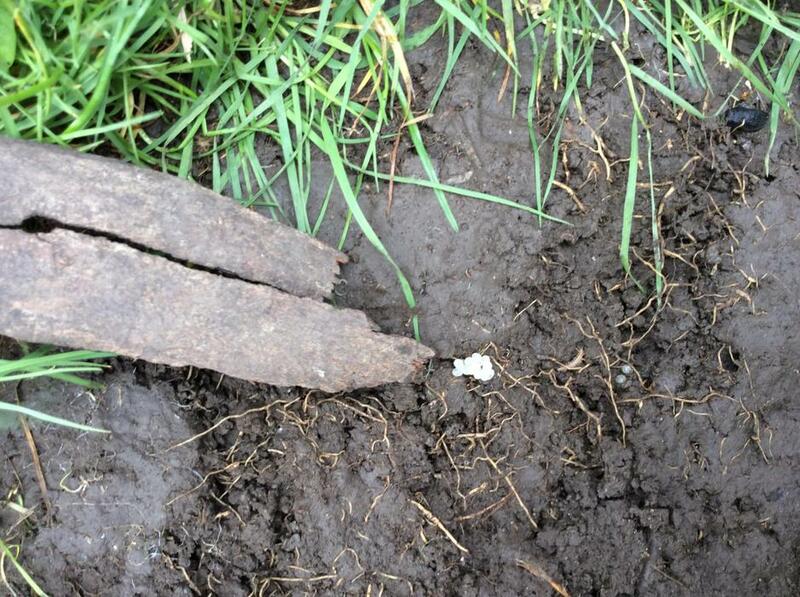 We were able to examine it and see all the things that we managed to make as a result of it being chopped up. We were also able to see some of the negative effects of the tree coming down and think about how important it is to plant more trees to replace lost ones. Searched for the clothes of ‘The Smartest Giant in Town’ who seems to live near here! Had a wonderfully creative morning of ‘baking’ in honour of Pancake Day and talked about why we celebrate this day. Working together keeps us safe. The Smartest Giant in Town has been here! The wood chips smell like “marzipan”. Our new ‘Advice from a tree’ board. Recreating the wonders of nature. Looking closely at a birds nest. 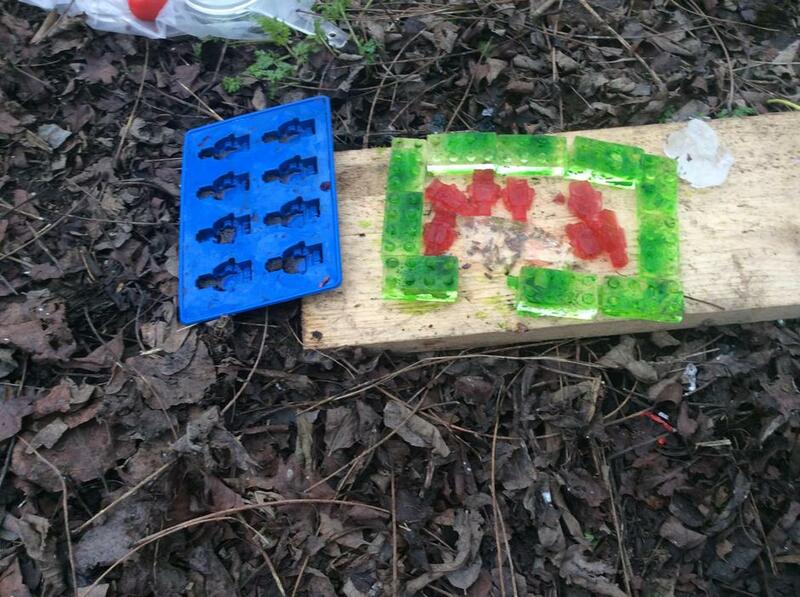 We played, ‘Go find it’, we found lots of plastic. Isaac found a small hole in the leaf. Collecting nature ingredients for our pancakes. Today we were thinking about how animals camouflage their homes to protect them from predators. We used leaves to decorate our hedgehog box. We have put a toy hedgehog in it and will leave the box in a place the children can see so they can begin to understand how long the hibernation period is. 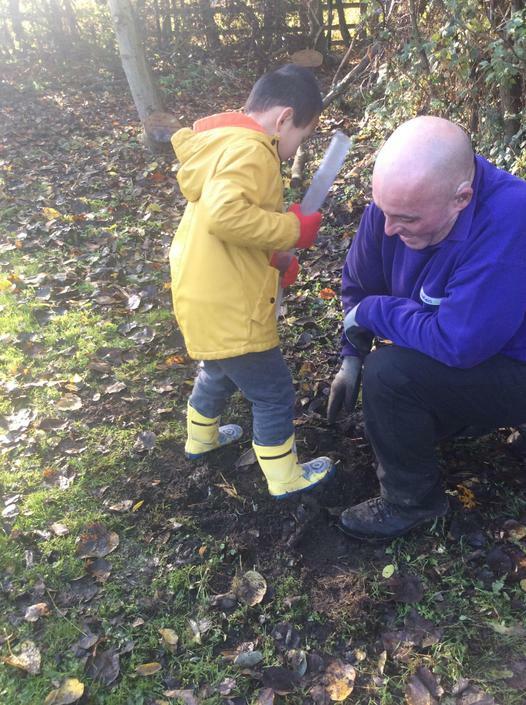 We we looked in the allotment to see how the onions that the allotment club planted are getting on. 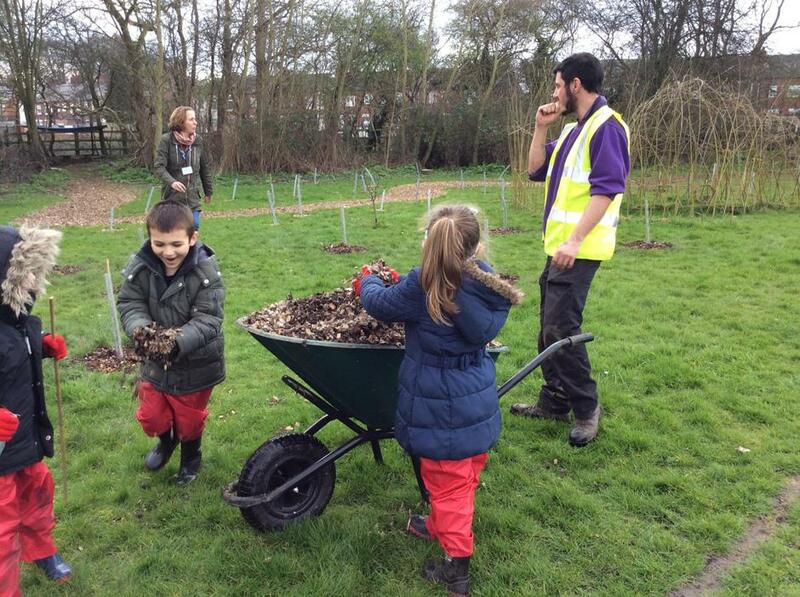 The children had mixed opinions about the oniony smell of the leaves! It was quite cold this week and we needed to run about to stay warm, We pretended to be migrating birds, flying from the cold, wintery north of the field where there is not much food, to the warm south where there is food a plenty. We decided that we need to help the birds, like robins, that don't migrate by feeding them and making sure they have water to drink. We are going to make some bird feeders next week. A snuggly bed for Henrietta. A migrating flock of birds. Even the leaves smell like onions! This week we were thinking about hedgehogs. 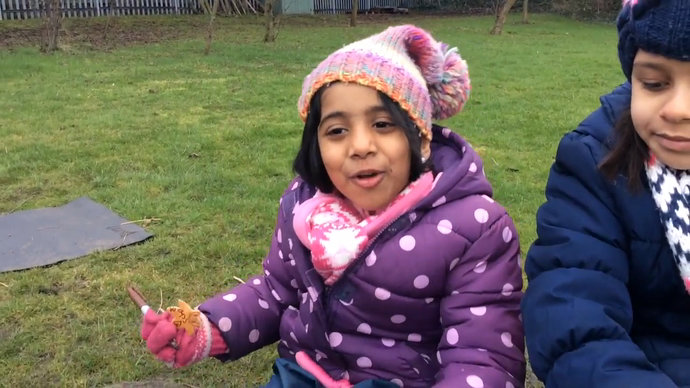 Herietta Hedgehog talked to us about how she hibernates during the winter months. 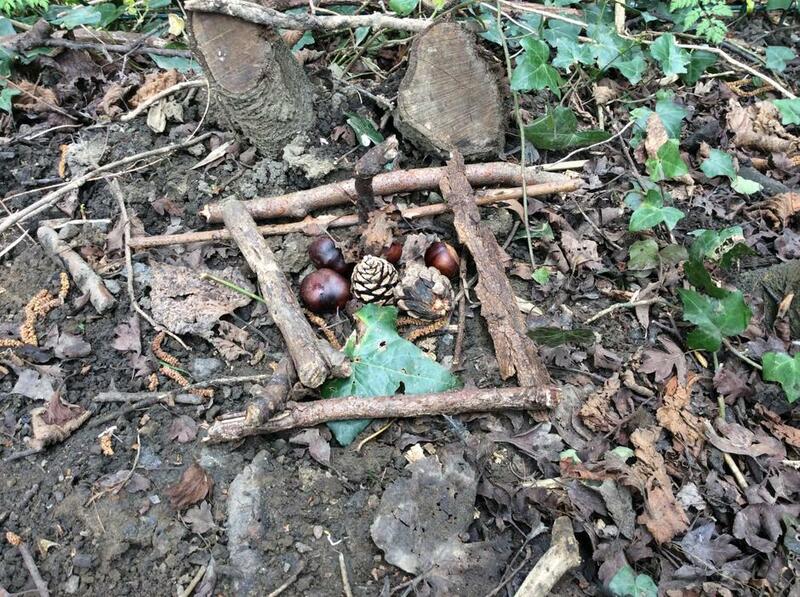 We made warm nests for her to go to sleep in using lots of warm, dry leaves and sticks. Jack Frost had visited so we looked at the beautiful silvery, white patterns he had made. 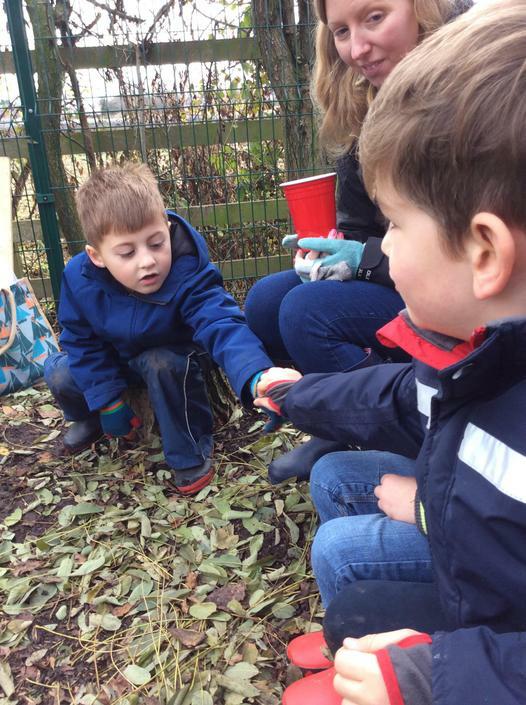 We collected some leaves and examined them at the beginning and the end of the session to see what would happen to them over time if we put them in the warm sunshine. We discovered that the "hard, crunchy" leaves with "diamonds on" them changed and became "soft" and "watery". Henrietta Hedgehog told us all about hibernation. "Leaves will keep them warm." Making sure the house is out of the way of feet. Ooh, this is very snugly! On the way to Forest School, Mrs Marinova saw 17 squirrels all playing together! 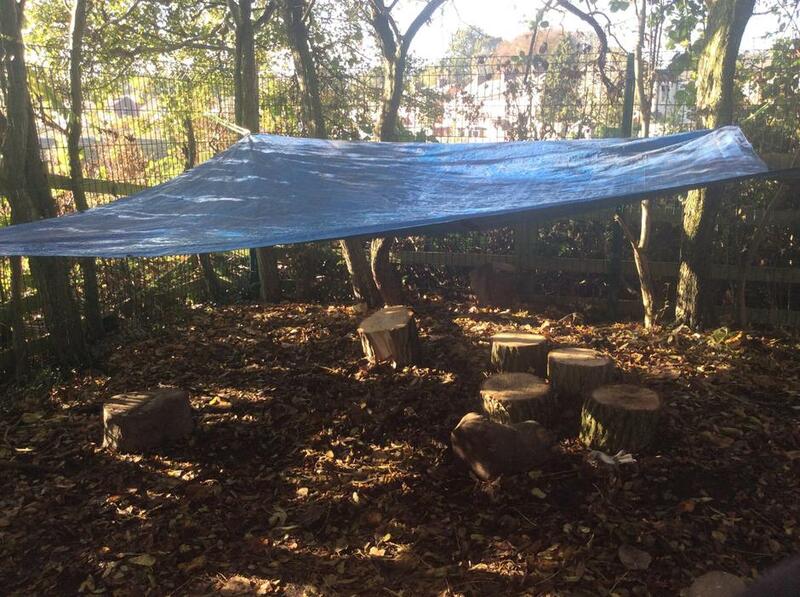 We decided to think about squirrels a bit more during our session but it looked like it was going to rain so the first thing we did was build a shelter to stop us getting too wet. We worked together to make a waterproof cover using taurpaulin and bungee cords - engineering in action! Simon Squirrel told us how he and his friends hide their favourite food when there is a lot of food around, then go back a find it during winter when there isn't much food around. They have to have good memories to be able to remember where they hid it. We decided to pretend to be squirrels and hide 'food' to find at the end of the session. We didn't have any acorns so we used pine cones instead. 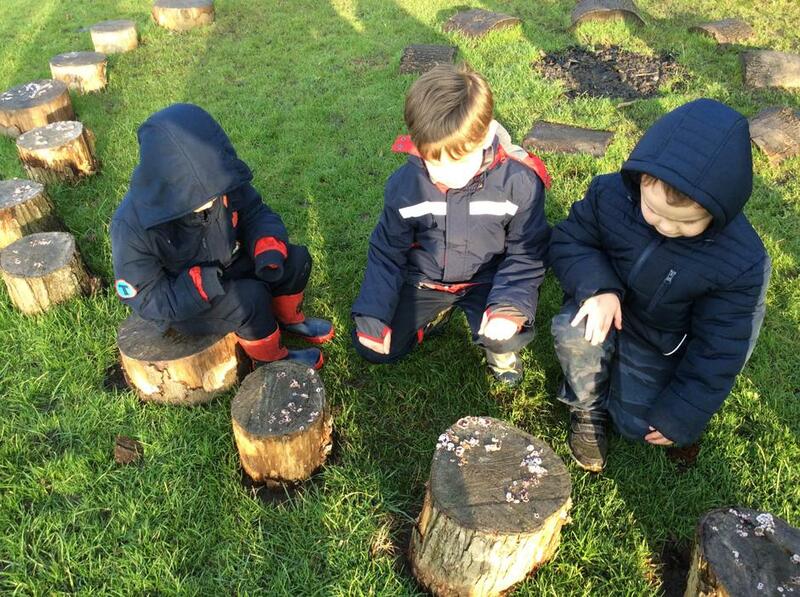 Each child practised their counting skills and collected 3 pine cones and went to hide them in the woodland. 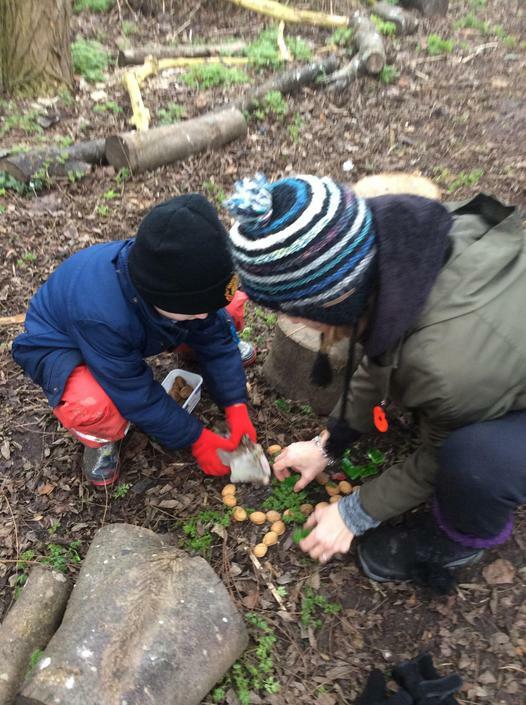 At the end of the morning, most children had found their 3 pine cones again, some had found more than 3, some less than 3 and a couple of children couldn't find them at all, they thought they might be very hungry little squirrels. 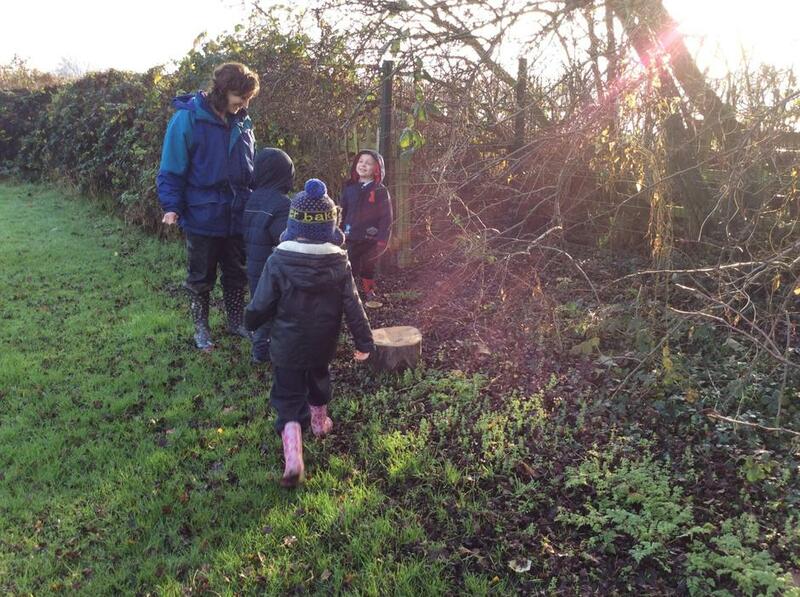 The children were very keen to go on another scavenger hunt and spotted another nest. There were lots of suggestions as to what might live in it from a pigeon to an eagle and even that it might be the home of the kraken! 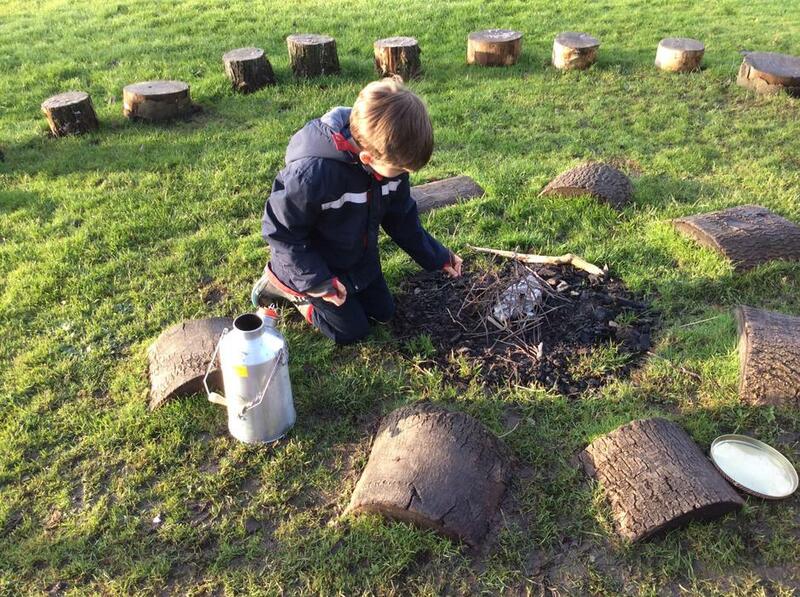 We looked around the fire pit for more mini beasts and some of the children spent a long time "making a fire". There was no actual flame this time but they still managed to toast imaginary marshmallows that were delicious, apparently. 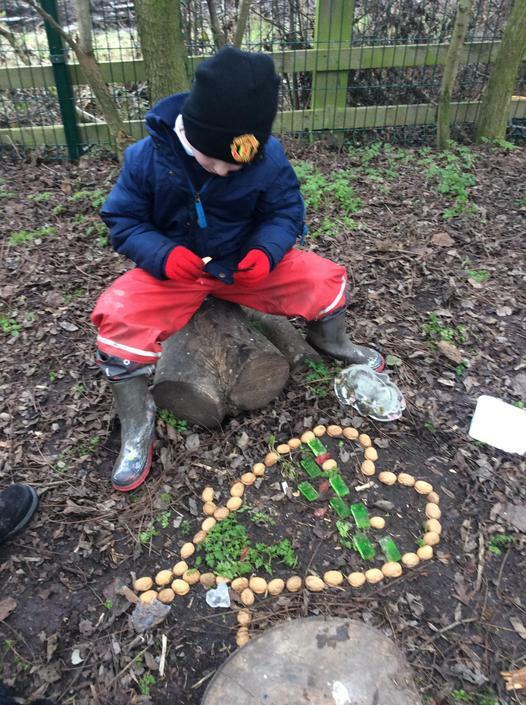 Some of the other children made mud faces on the silver birch trees and decorated them with leaves, it took a great deal of perseverance to make some of the mud stick but they managed and the end result was just beautiful. This worm looks like a number 6! But this tree already has its own eye! 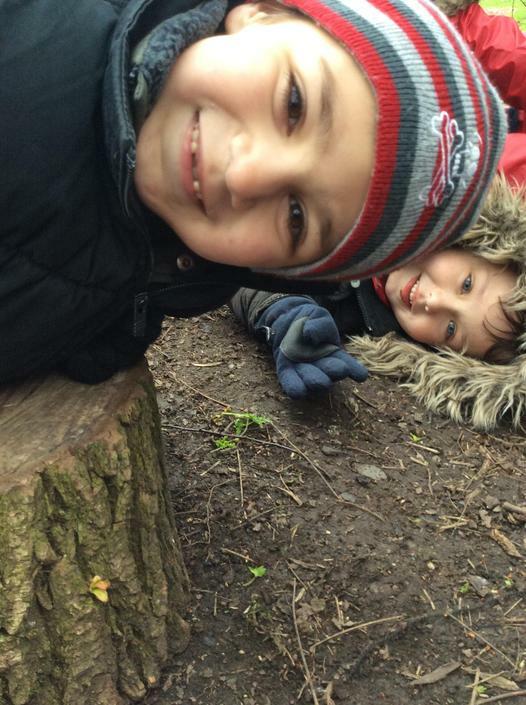 Another lovely day at Forest School. 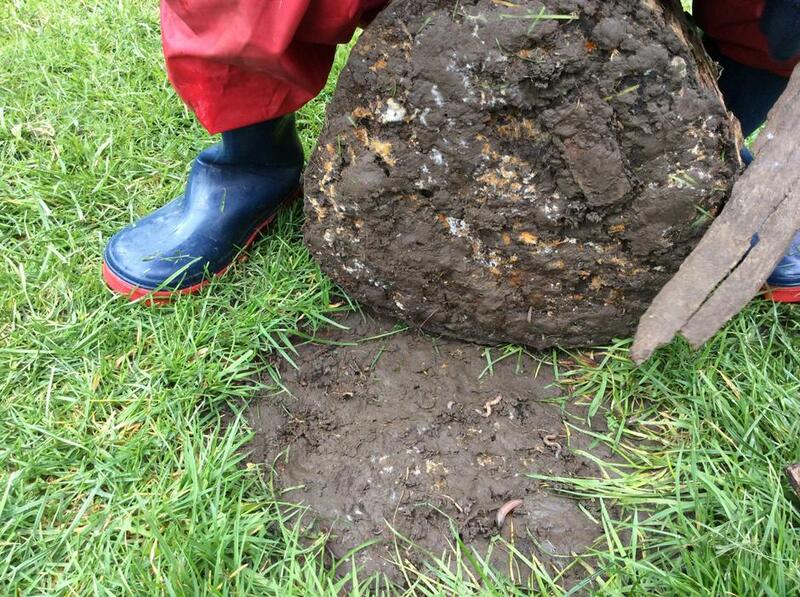 The children were very keen to go on a nature scavenger hunt and found some amazing things. They also enjoyed doing bark rubbings to see the different patterns. Take a look. Sharing the exciting finds with friends. Eagle eyes spotted a nest in the tree. 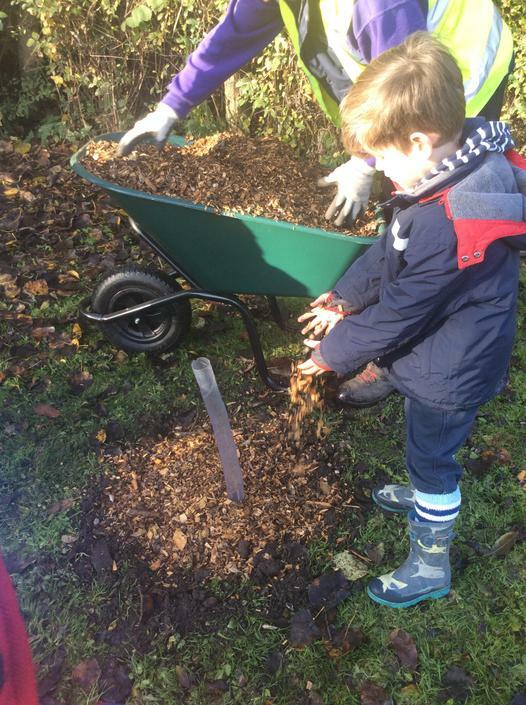 The children were all very keen to collect the beautiful autumn leaves and sing the "Autumn leaves are falling down" song again and to make more leaf kebabs. 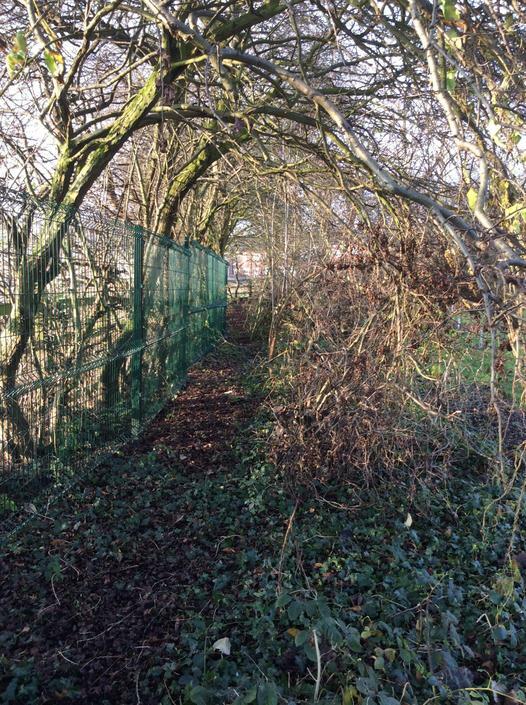 We are very fortunate to have our own fully enclosed and secure woodland area. The children are very good at remembering the rules about where they can go and the signals to stop and return to base camp. Even so, at the moment, most of the children like to stay close to the adults and share all the fascinating things they find. 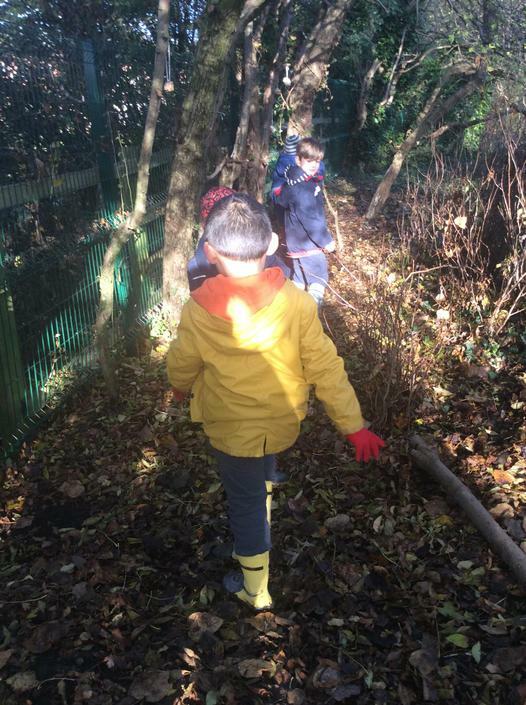 This week one or two children felt confident enough to explore our woodland area independently in search of bears. They didn't find any but apparently they heard, "A spider spinning a web." and a "Unicorn"! 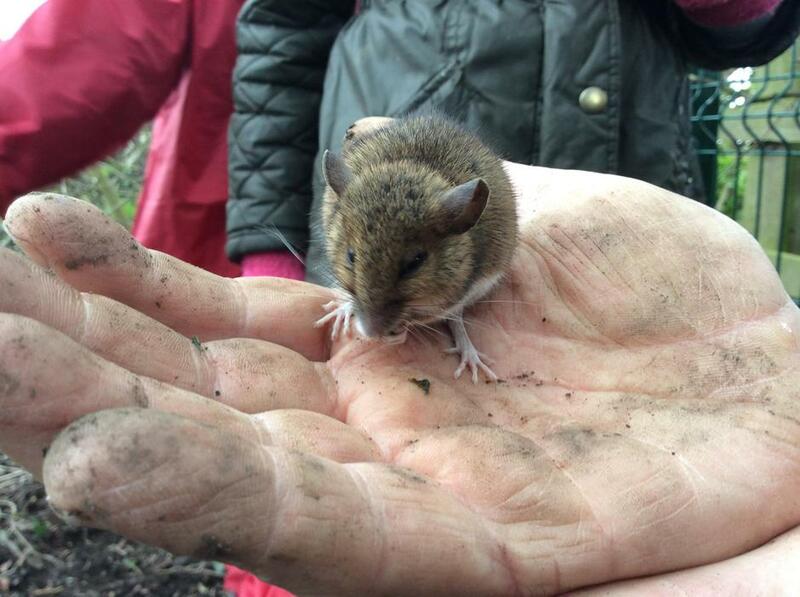 We all enjoy our 'quiet time' at Forest School, we think about how fortunate we are and take time to really listen to the natural world. The children become so relaxed as they listen to wind gently shushing us. "This is lavender, it smells nice." Taking a moment to breathe. 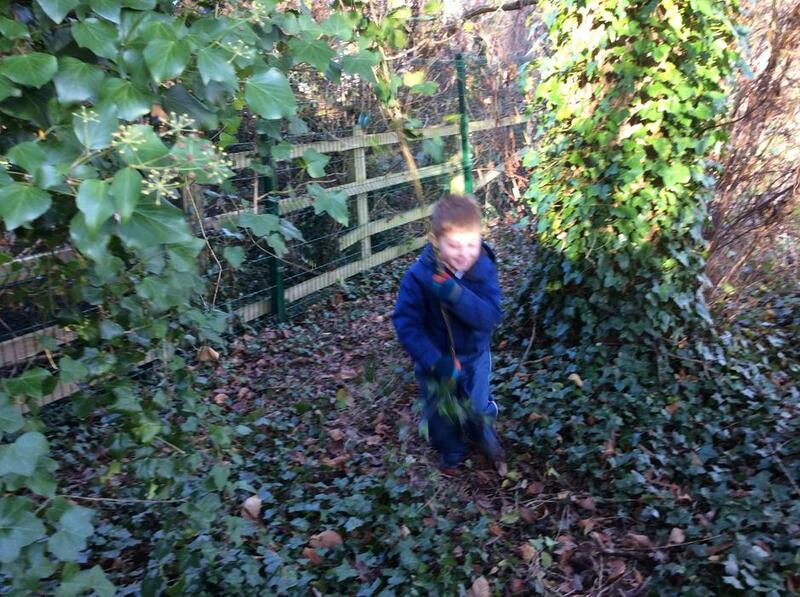 Forest School has come to our nursery, yeah! 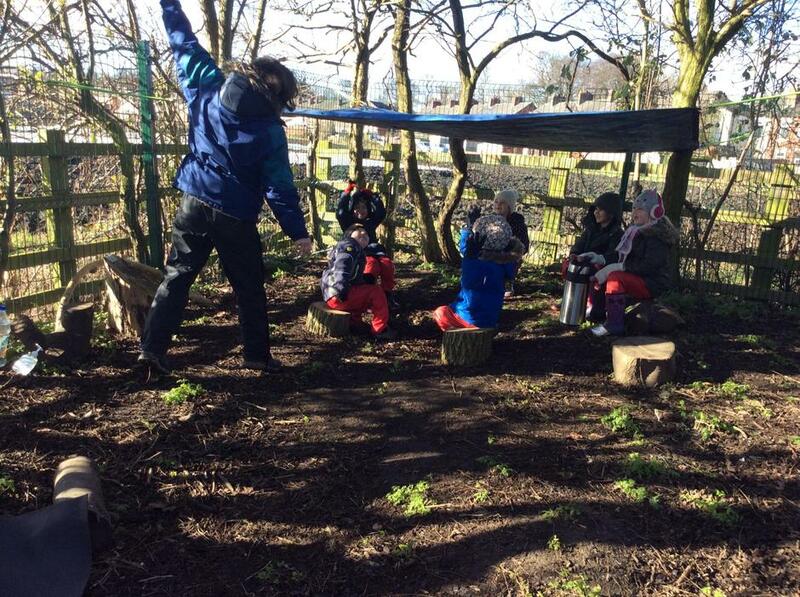 Every Tuesday the children will be able to enjoy learning outdoors in different areas around our school site. 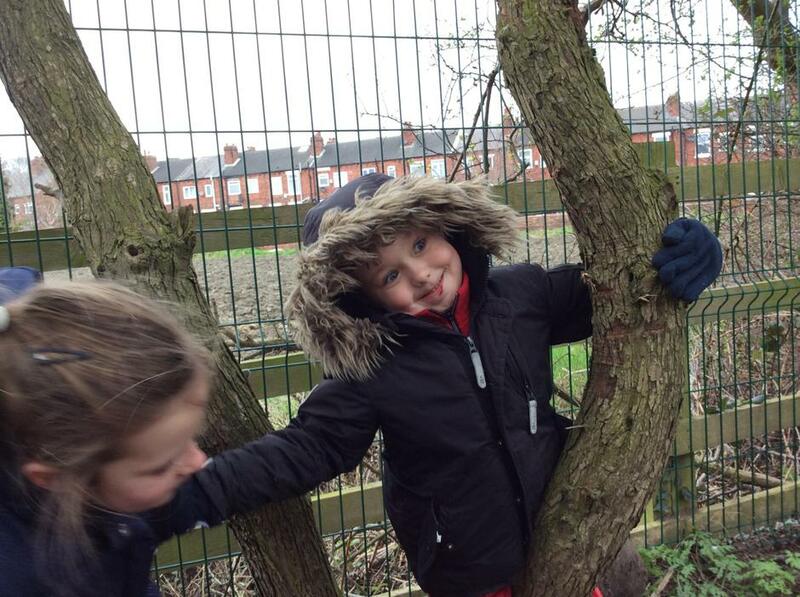 We are fortunate to have several outdoor areas that the children can learn from and explore. 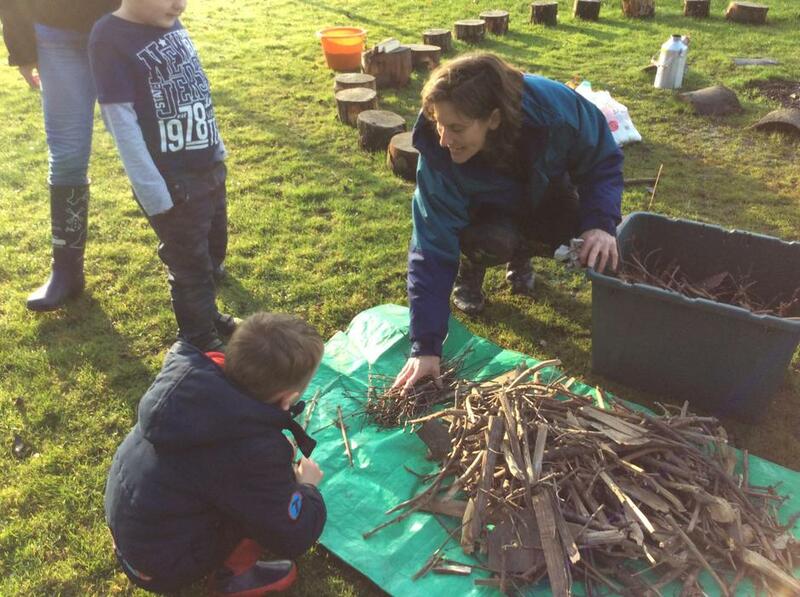 Getting ready for Forest School is part of the learning. 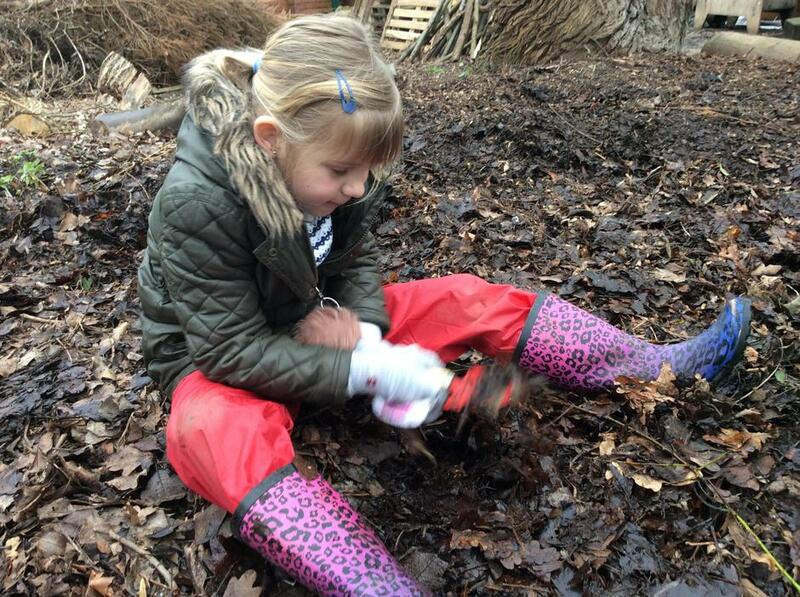 It can be very tempting to put the children's coats, wellies and waterproofs on for them, but by giving them time and encouragement, they can mostly manage themselves and they get a tremendous sense of satisfaction when they do, this develops confidence and self esteem as well as fine and gross motor skills and persistence to keep trying even when something is tricky. 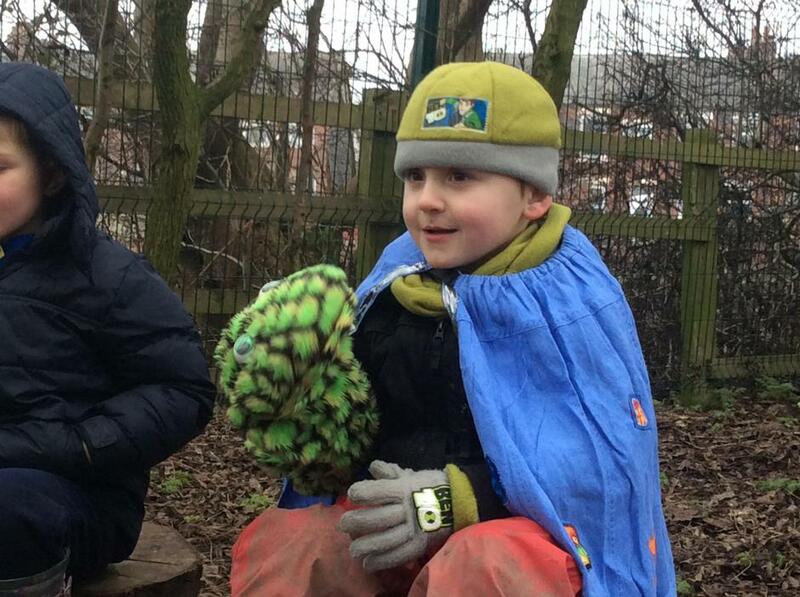 At the beginning of Forest School we talk about what we can do to keep ourselves and each other safe outside. This includes thinking about keeping warm, not putting anything in our mouths while we are outside, where we can and cannot go and knowing when we have to stop what we are doing and return to 'base camp'. We will be sharing some pictures of our adventures here, we hope you enjoy them. But we can help each other and it's fun! 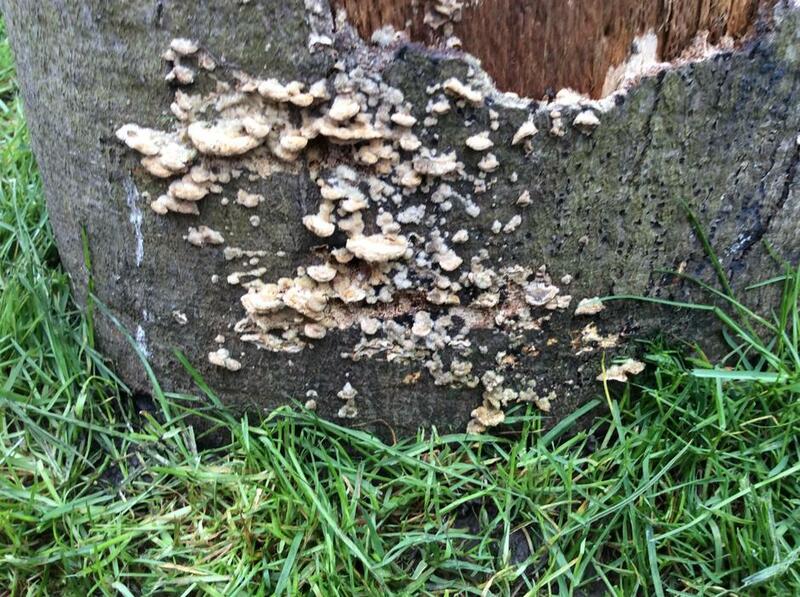 "What are the brown bits? They're soft." Ta dah! A fun den. "They are digging for worms!" 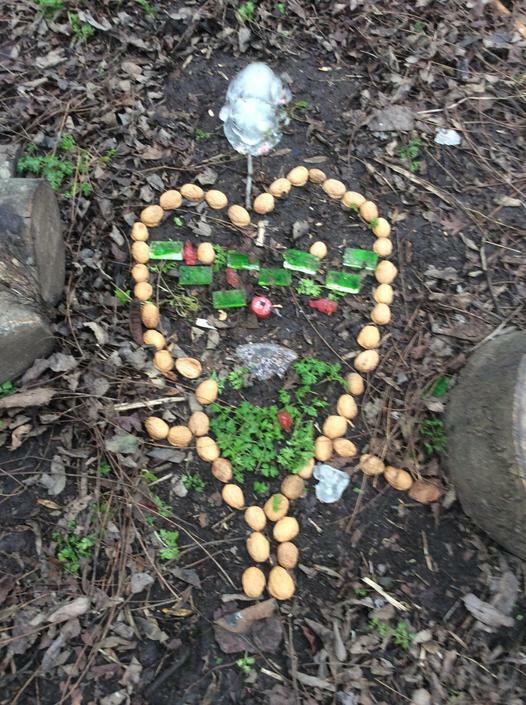 Today was the final Forest School session for the children in class 1 and we were all feeling a bit emotional. 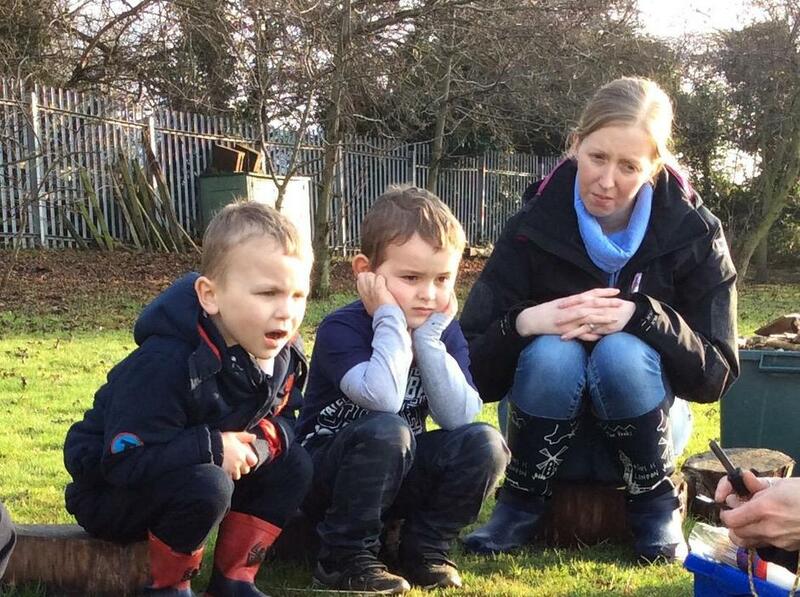 One boy said he wanted to cry, others said things like they want to stay at Forest School forever. All the adults feel much the same. We feel so blessed to have had the opportunity to spend time outside getting to know the children, the environment and ourselves. All the children and adults have experienced things that have challenged us, delighted us, filled us with wonder and gratitude and everyone has learned lots of things while having great fun. The children listened carefully to what the fire was saying when we extinguished it with water; "Help, save me." "I'm drowning." One of our parent helpers thought that the gentle sizzling at the end sounded like the fire snoring as it went to sleep. Having a little break in the den. 'Close the door Ms Shaw, then we can stay forever! Singing to help the fire along. Using the charcoal once the fire is out. of traditional 'hide and seek', playing 'animal-camouflage-food-chain' hide and seek instead. The hiders had to adopt the pose of an animal and the seekers were other animals. Depending on whether the hider was prey or predator depended on if they were out or not. Later we share our animals. Guessing the lady bird was hard! We also thought about feelings and everyone made, or adopted, a facial expression and the others had to guess what it was. 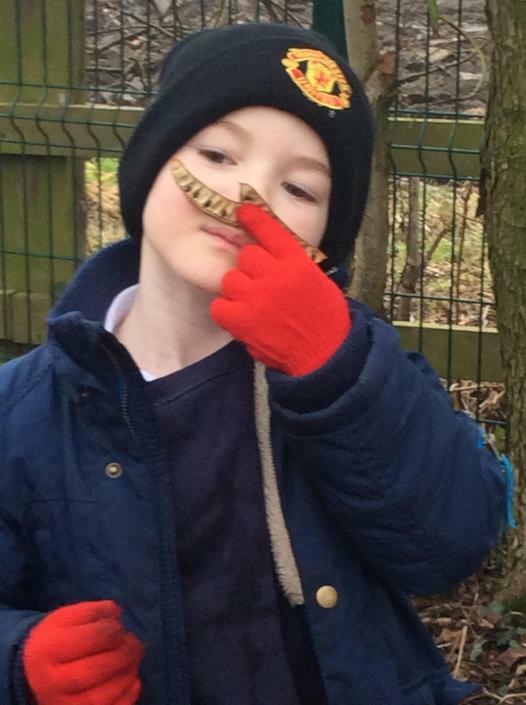 The children love to explore for mini beasts and took photos of some interesting specimens. 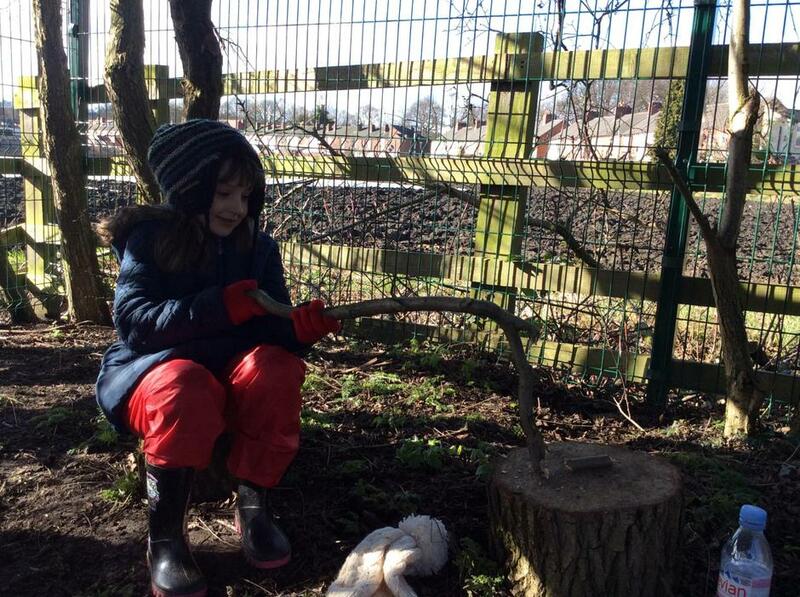 When we were using tools, one child expressed concern that they wouldn't be able to do it safely but wanted to have a go. 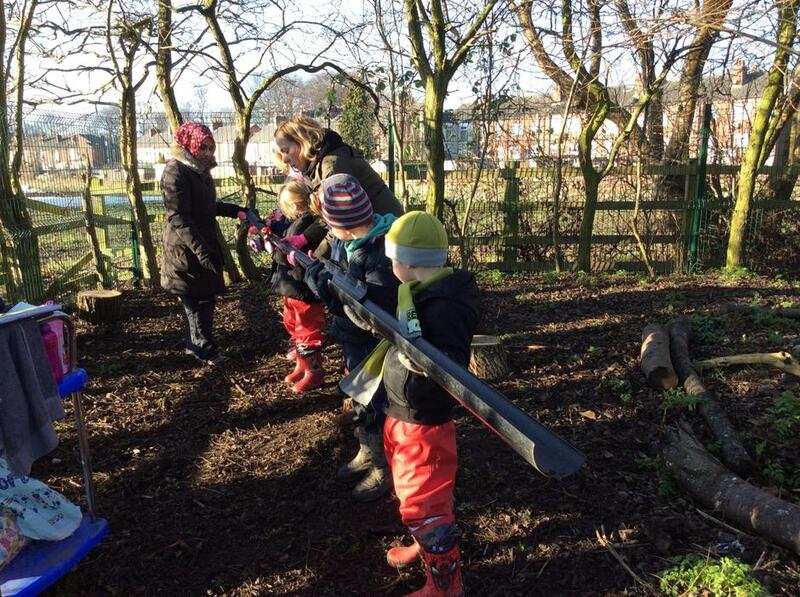 After a little internal battle where they watched and questioned, they were able to pluck up the courage to have a go and was very proud of the resulting whittled stick. 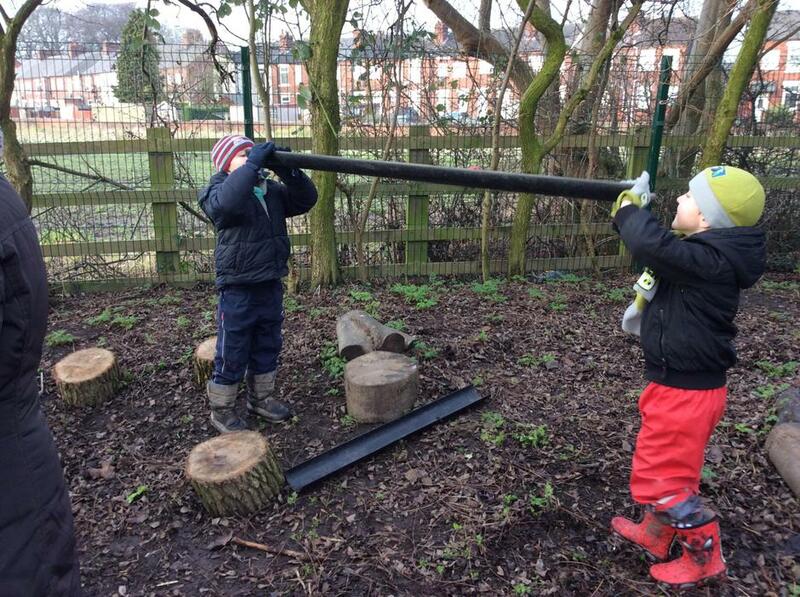 "The birds are eating the worms"
"It's not a stick, it's a telescope"
Demonstrating excellent hand eye coordination. "Oo,Oo, look! What are they?" What a lovely session. 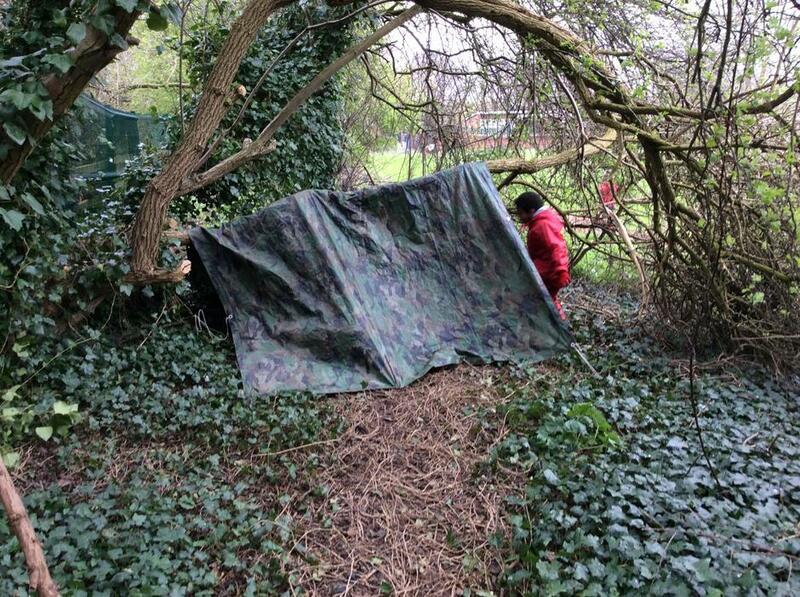 Year 6 had had an overnight camp and we left a tent and hammock up for the Forest School children to explore. 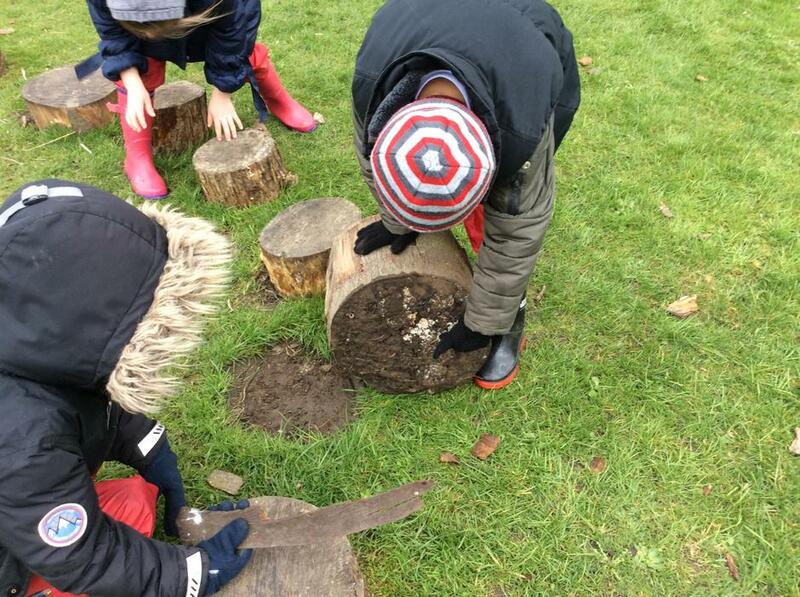 They also went mini beast hunting and did some writing with the charcoal left from the camp fire. We experimented with early face paints (aka mud!) Following on from the 'It's not a stick' story, L came up with 10 things that his 'not a stick' could be. Very inventive! 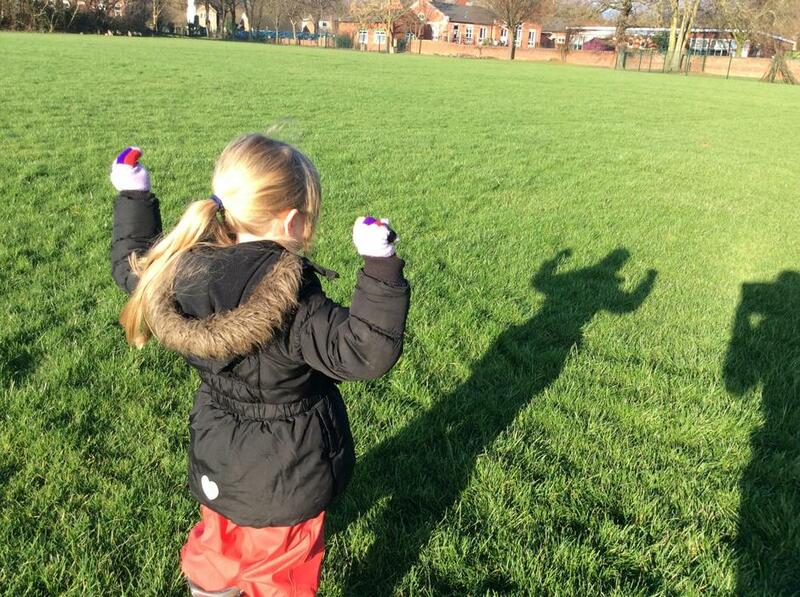 The children remembered about keeping safe when using sharp things outside, "Everyone get in your blood bubble!" exclaimed one child. We also met a celebrity!! Stickman, of Julia Donaldson fame, apparently lives in Stanley! Time for a little snooze. Exploring the properties of charcoal and mud. Who knew that Stickman comes from Stanley! 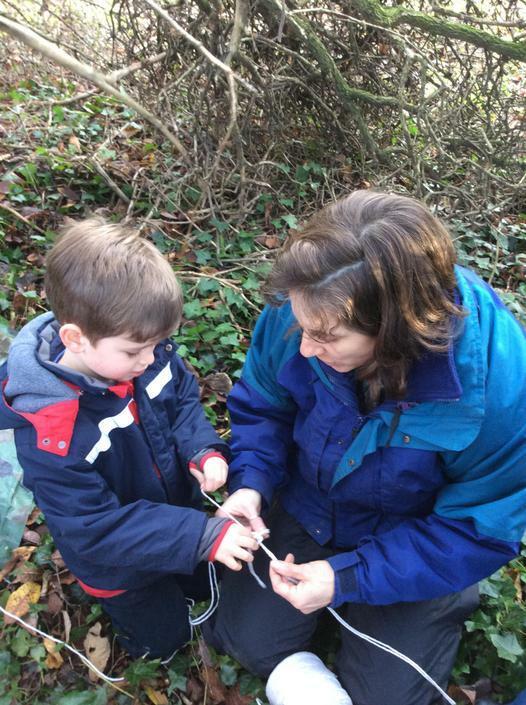 Today we played 'Go Find it', hunting for 'nature treasures' and practised tying knots to make our own picture frames. 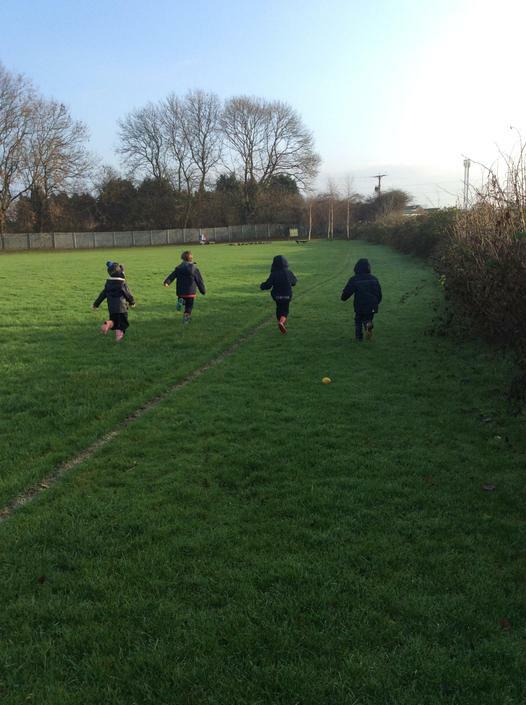 We also had great fun in the long grass, the children enjoyed camouflaging themselves in the long grass and prowling like lions before pouncing on their prey. developing our fine motor skills. Prowling through the long grass. 'Roar!' A ferocious lion loose in Stanley! Camouflaging ourselves in the long grass. Look at all the things we found. 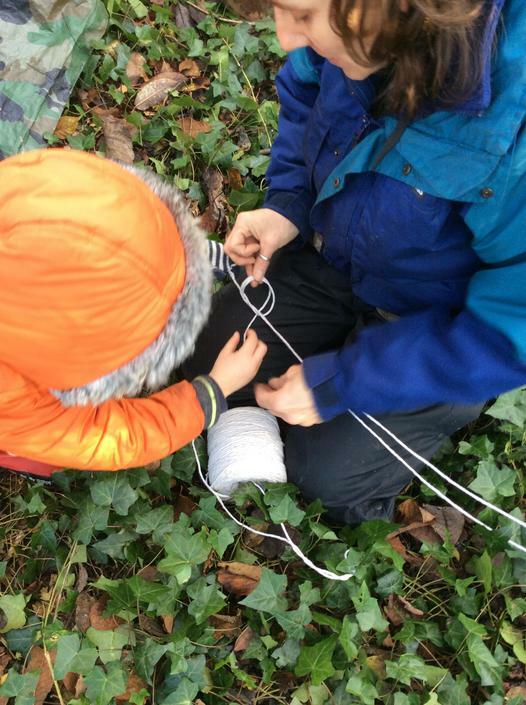 Tying knots and making a triangular frame. Ta dah! Imaginative use of natural materials. Examining the properties of a bumpy pine cone. 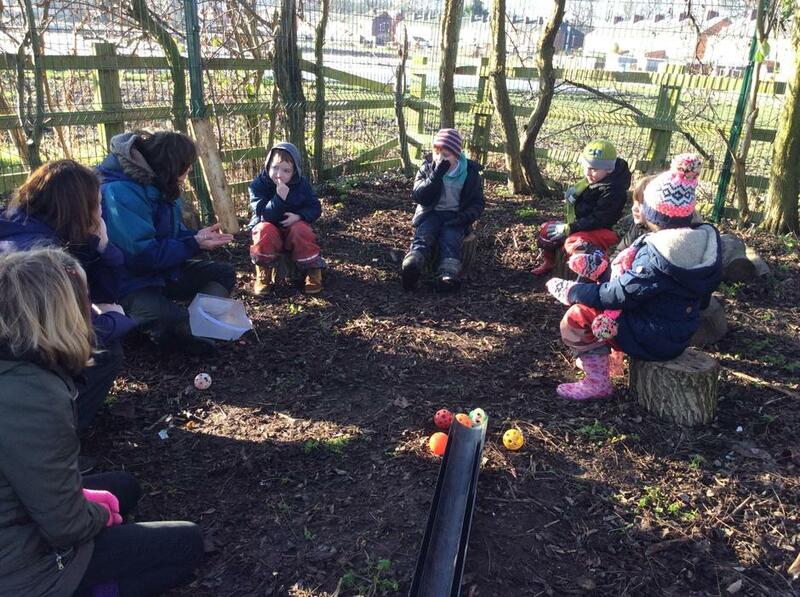 The children visited the chickens and started to use the talking stick, so that everyone has the opportunity to speak and be heard. We looked at some of the plants growing around our site - and ate some of the delicious strawberries - and explored our woodland area. 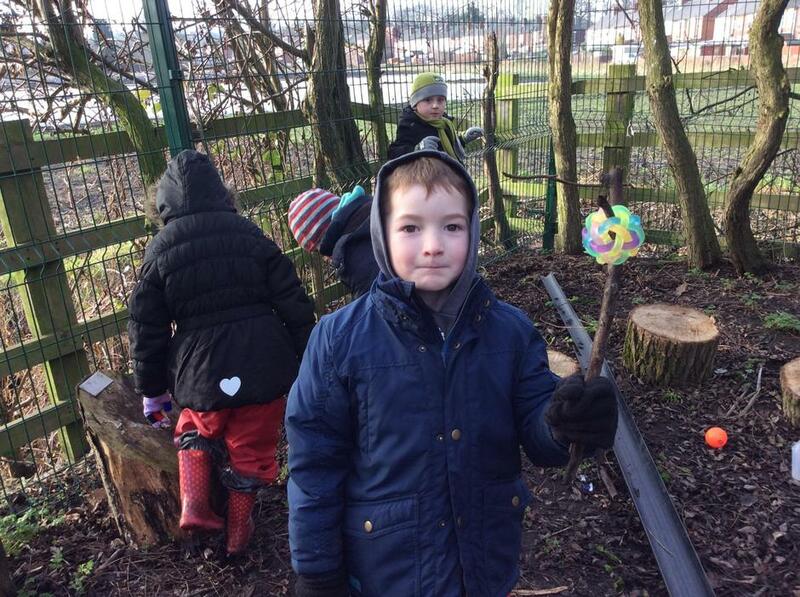 The children made journey sticks so that they will be able to remember their adventures today. 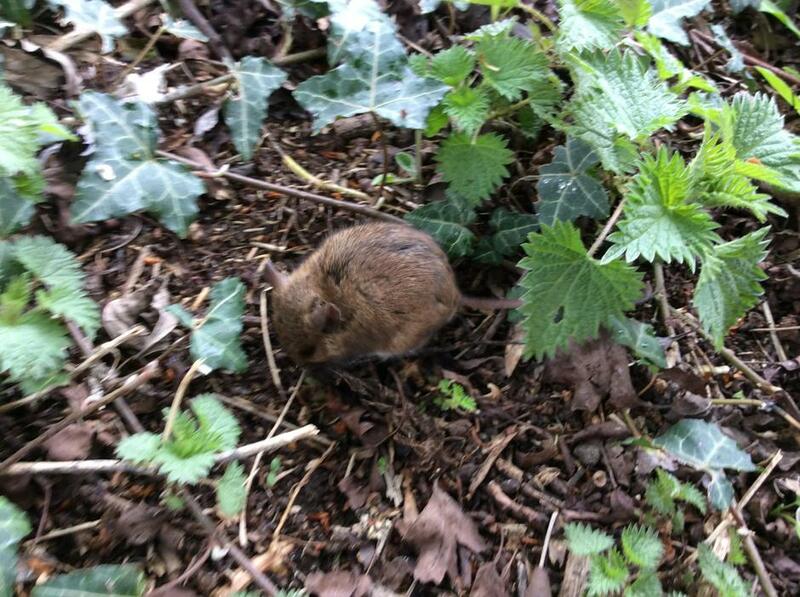 But the mini beasts had found some before us! Washing our hands before eating our treat. Journey sticks help us remember adventures. This terms Forest School has gone so quickly. 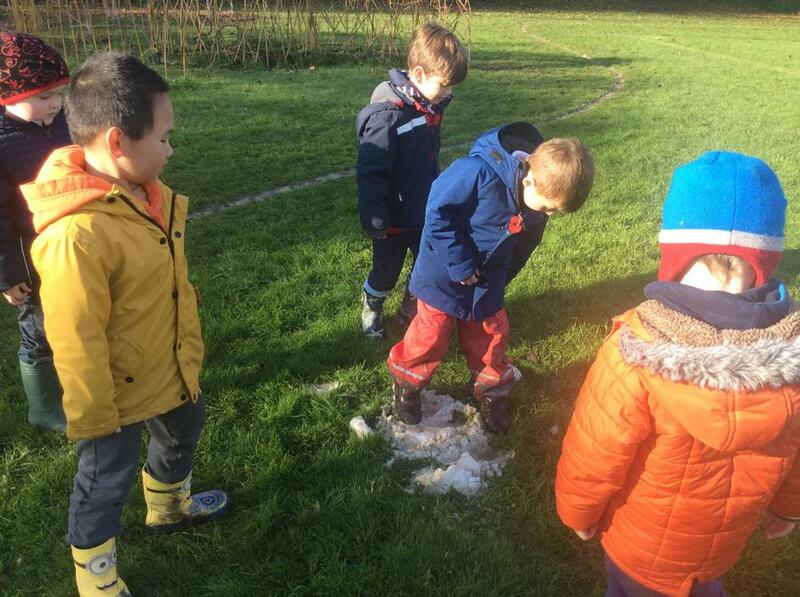 We have been learning about lots of new things from how to use tools safely, to bats and echolocation and exploring non Newtonian substances, (but we just called it corn flour gloop), and we have had such fun! 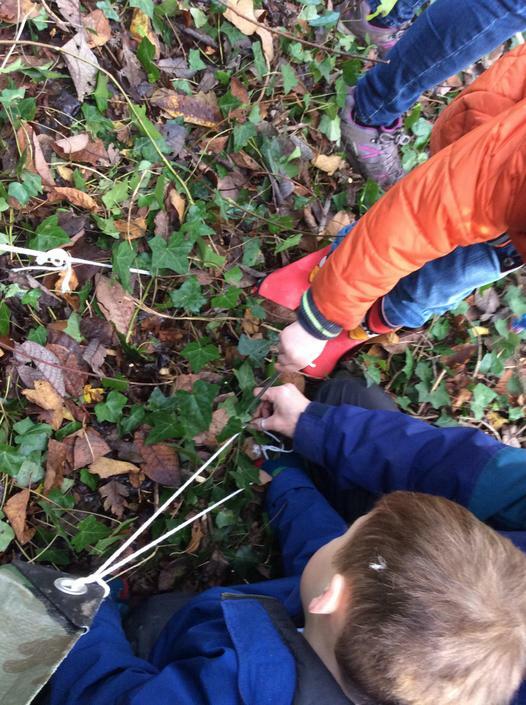 One of the wonderful things about Forest School is that the children have the opportunity to challenge themselves and learn how to assess and manage risk in safe way. 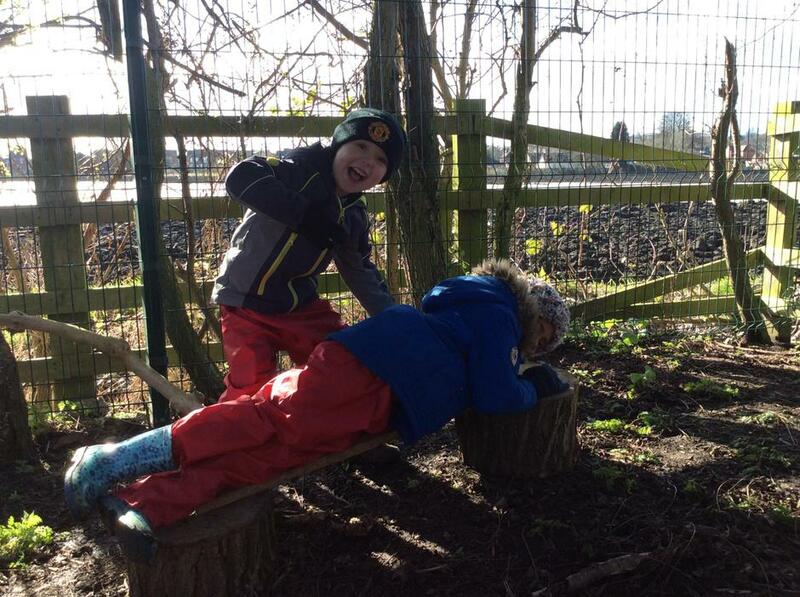 At Forest School we work collaboratively, everyone supporting each other and everyone's voice is heard. 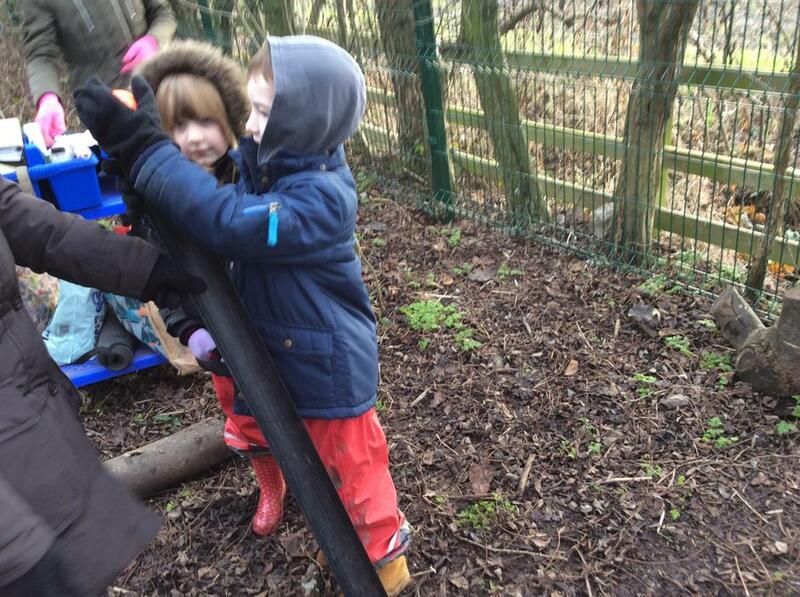 This group of children have particularly enjoyed using the 'talking stick' to ensure eveyone has their say. We continue to be blessed by our incredibly supportive parent helpers. 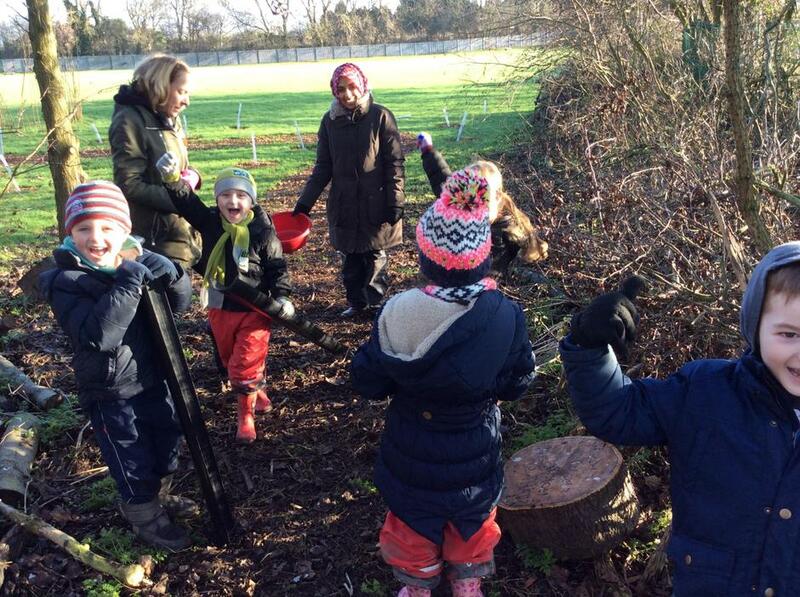 They enrich the Forest School experience so much and are such favourites with the children. We really can't thank them enough for all they give to the school. Focus, problem solving and perseverance in action. Oh wow! It's solid, no it's liquid! Using tools to create works of art. Younger eyes can see really tiny mini beasts. Rabbit nature crowns complete with a bob tail. Learning how to use tools safely. Kings and Queens all, complete with crowns. Concentrating and developing fine motor skills. You can learn so much from building a den. Making our own pegs to hold down the tarp. Sharing a story. We love stories. 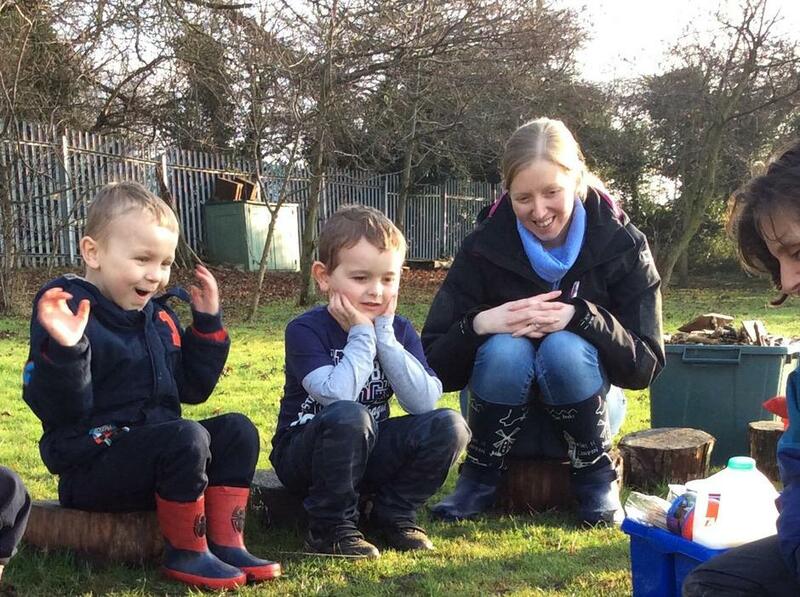 The new group started at Forest School today and everyone was super excited. 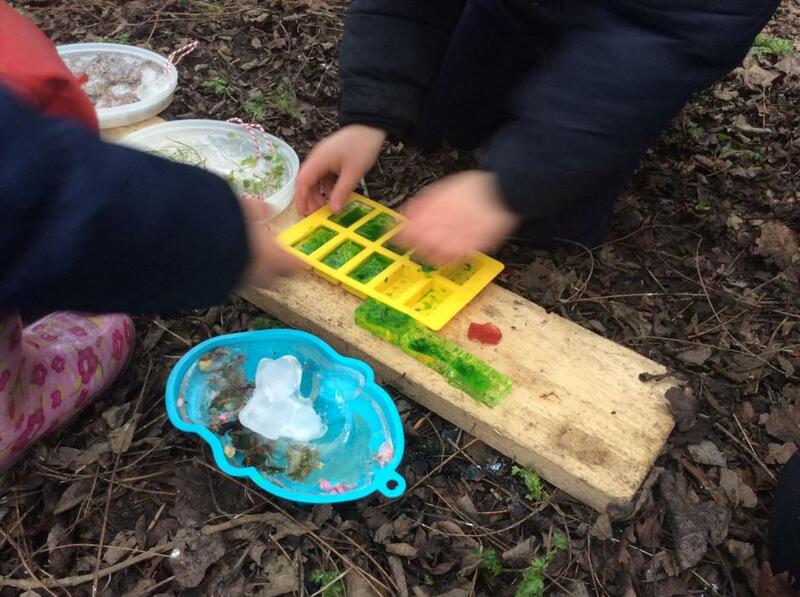 Our focus was 'Exploring independently' we were learning about; being active using our senses connecting with nature communication being focused creativity using fine and gross motor skills using our imaginations developing our curiosity. It turned into a team exploration as everyone was so excited by the treasures they had found, they needed to share their discoveries with the rest of the group. LB found a flower and told everyone, 'This is a dandelion, it makes you pee your bed.' Super botanical knowledge! 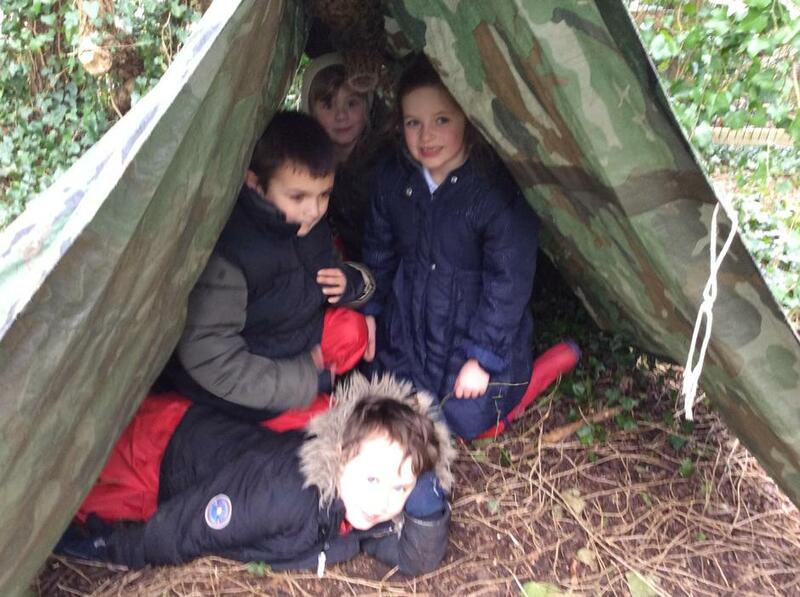 Our new Forest School children. Look at our nature treasures! Our first is going well. Blossom on the transplanted apple tree. Using the talking stick so everyone can be heard. 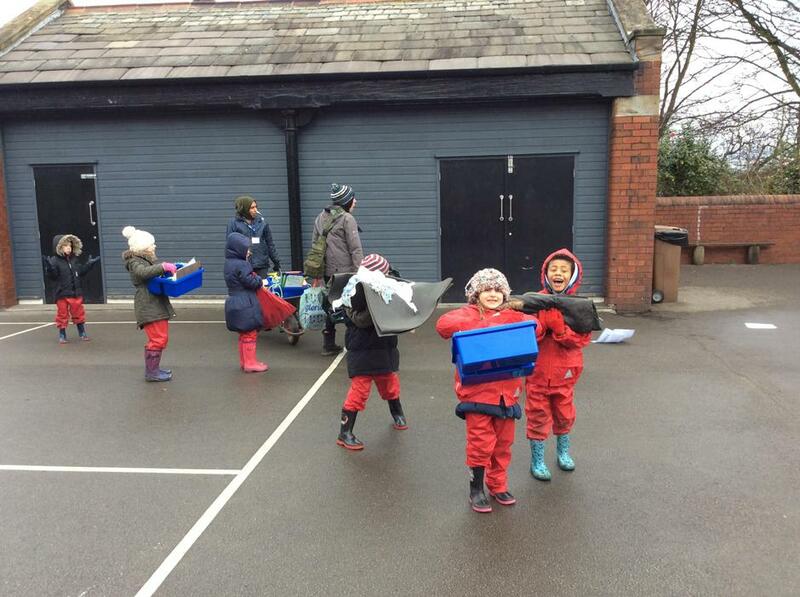 We collected litter to help look after our world. Our final session and we had lovely weather for our camp fire. The children were keen to visit the chickens and hold them. They also wanted to tell the final story using the puppets and the story capes. We talked about the fire triangle and fire safety. Perfect day for cloud watching. 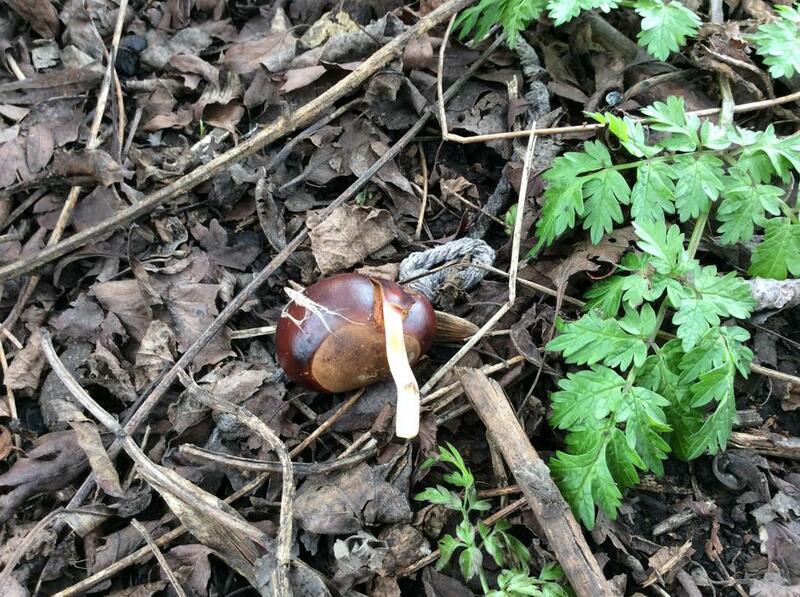 Our conkers are growing well. Everyone helped tell the story. Receiving applause from an appreciative audience. And taking the final bow. 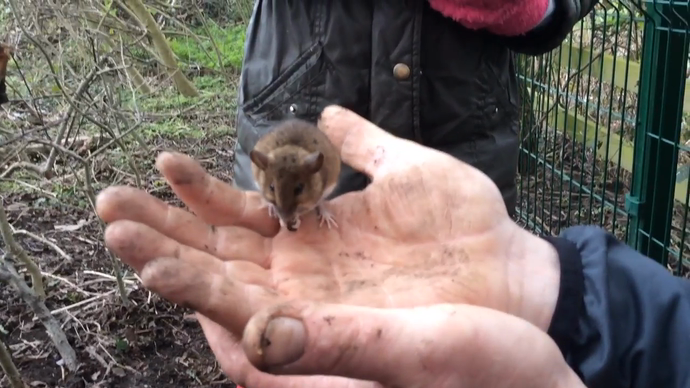 A surprise meeting with a friendly mouse. Getting ready, setting up camp, playing, planting, exploring and other adventures. 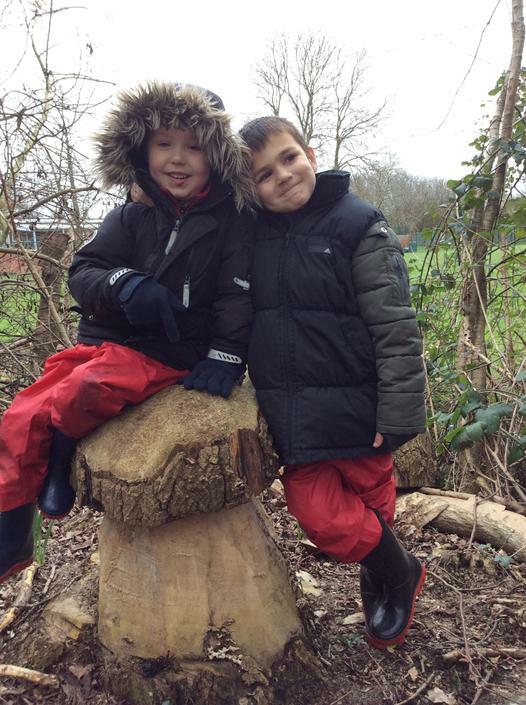 The new group of children have been having great fun this half term at Forest School. 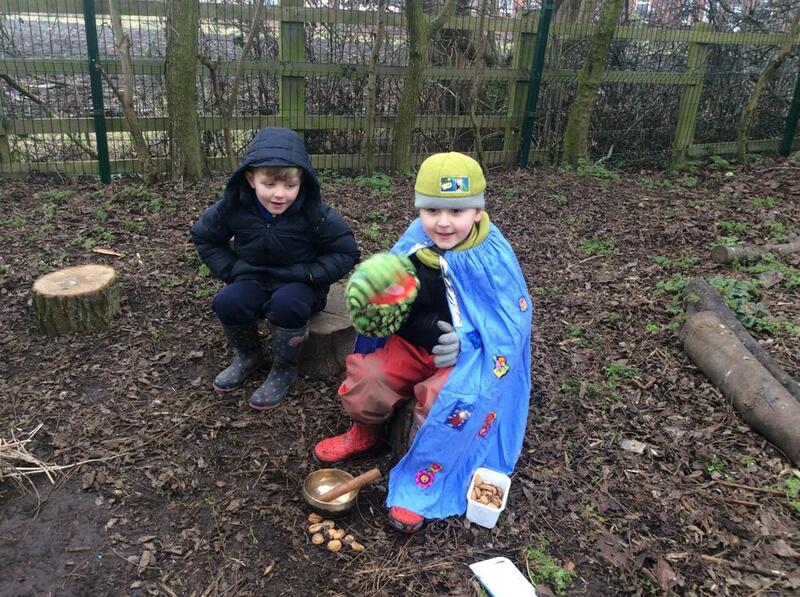 Getting ourselves prepared and looking after ourselves in all kinds of weather is an important part of what we learn at Forest School. 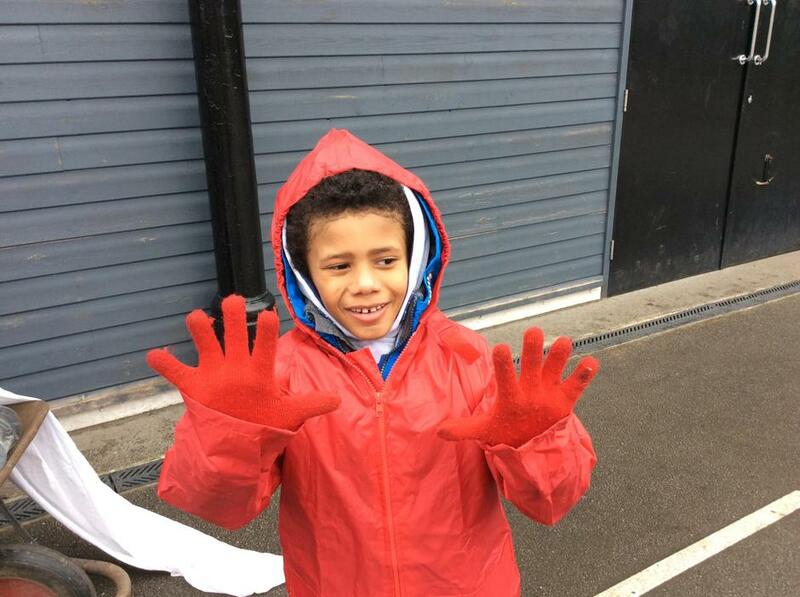 After some practise, everyone can put on waterproof coats and trousers and even manage to put gloves on independently! Generally we have been lucky with the weather but have had to make a shelter to keep ourselves dry on a couple of occasions. It was fun. 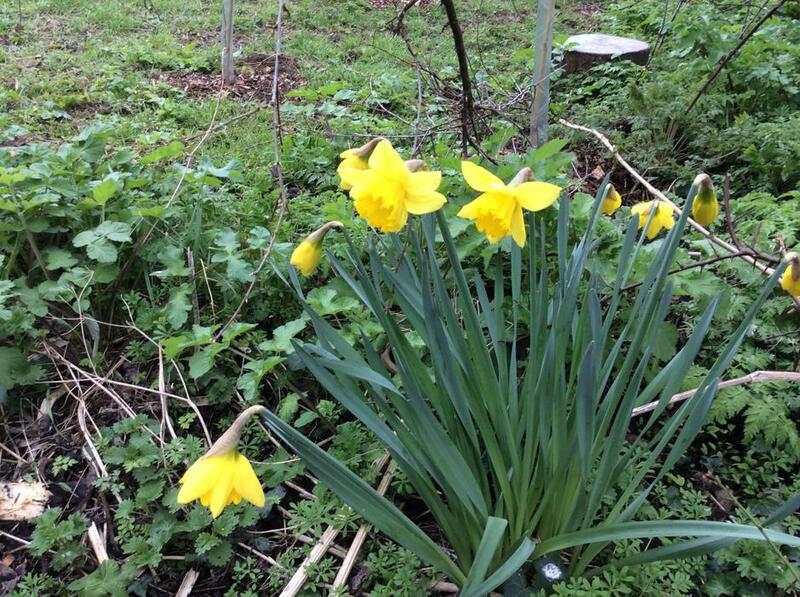 We have been looking for signs of spring coming and have found so many wonderful nature treasures. 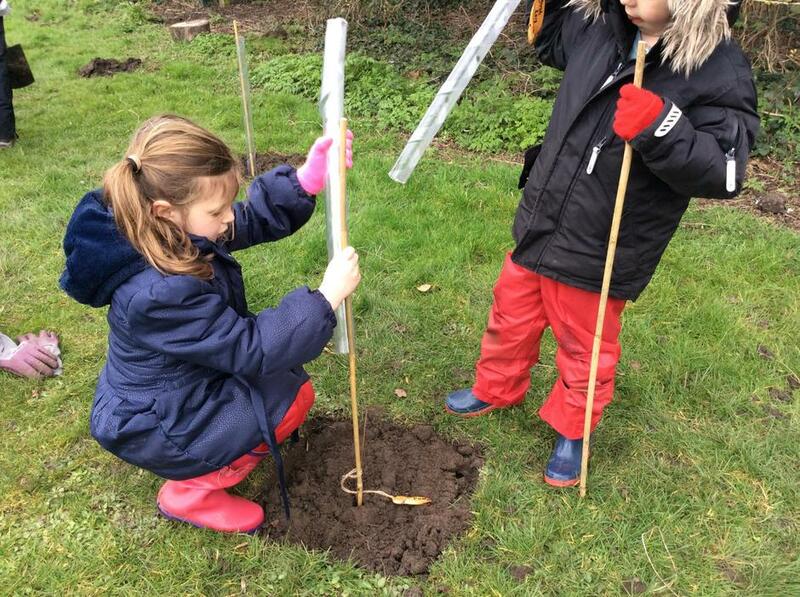 The children planted some more trees to extend our woodland area and were wondering if the trees would grow as tall as them by the time they leave school. 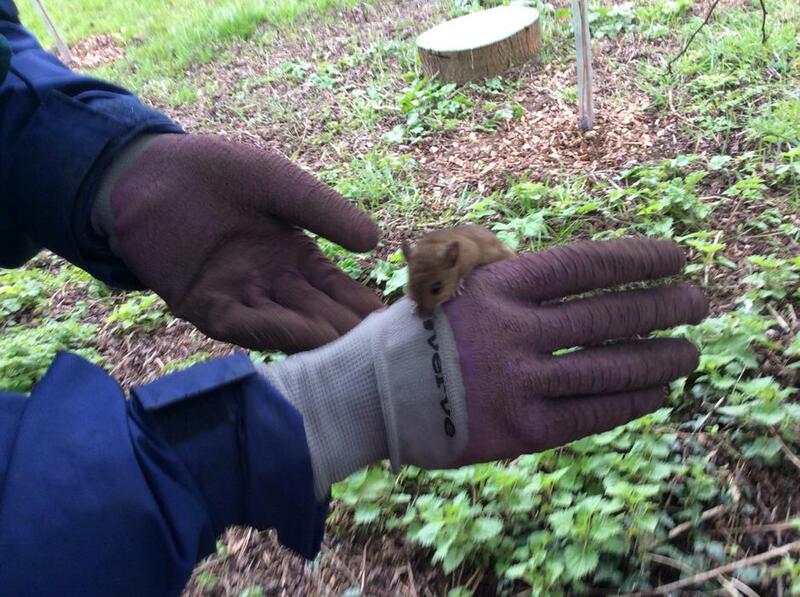 We have been making music, singing songs and meeting the local wildlife. We hope you enjoy looking at some of the pictures. 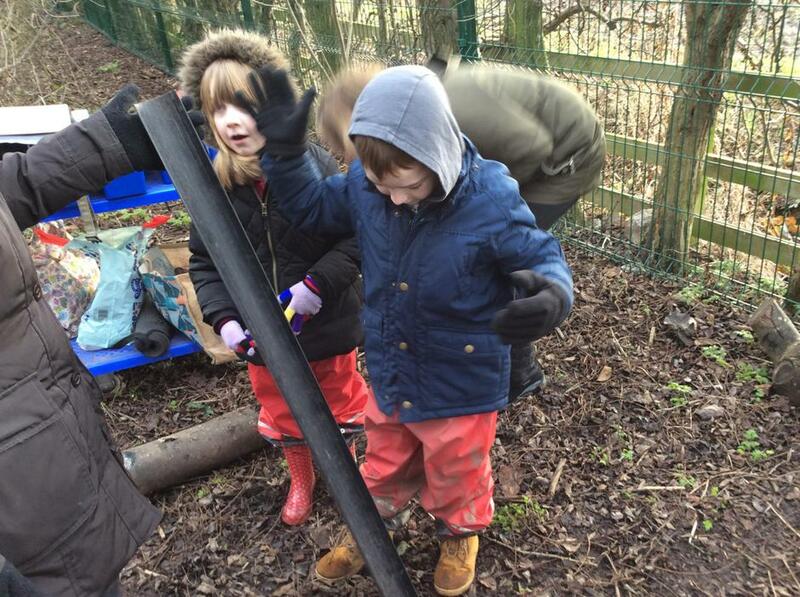 Thumbs up for Forest School from the children. 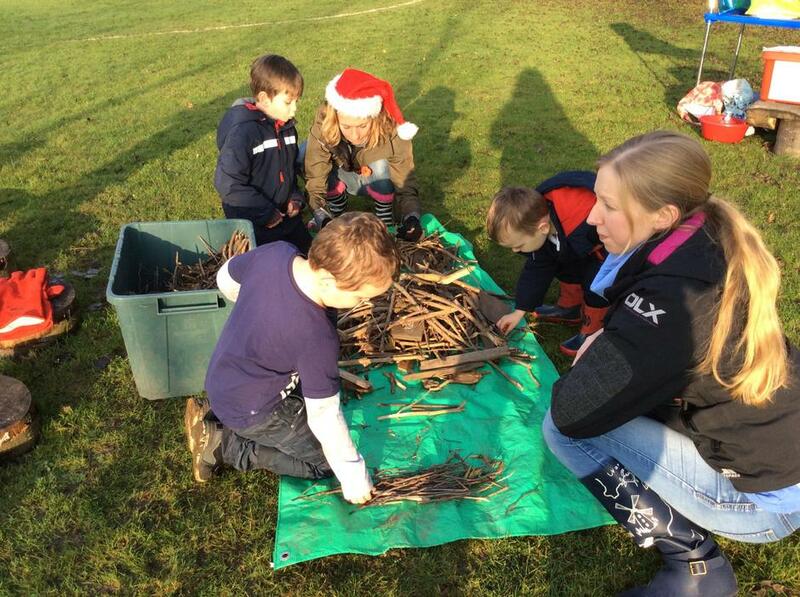 Final Forest School session. We learned about the fire triangle, fire safety, patience and resilience when making fire in snowy weather. We used old fashioned, cast iron cobbler shoe moulds to hold up our camp fire grill and the children had great fun trying to work out what they were. We couldn't use some of the sticks for fire wood as they were covered in lichens, the children thought they were very beautiful. One of our fabulous parents made us a photo frame that we used as part of our memory games and to create our own 'live pictures''. At the very end of our session some of us mud painted our faces and we all promised to be Forest School heroes forever. Sizing up wood for the fire. Camp fire popcorn - nothing like it! 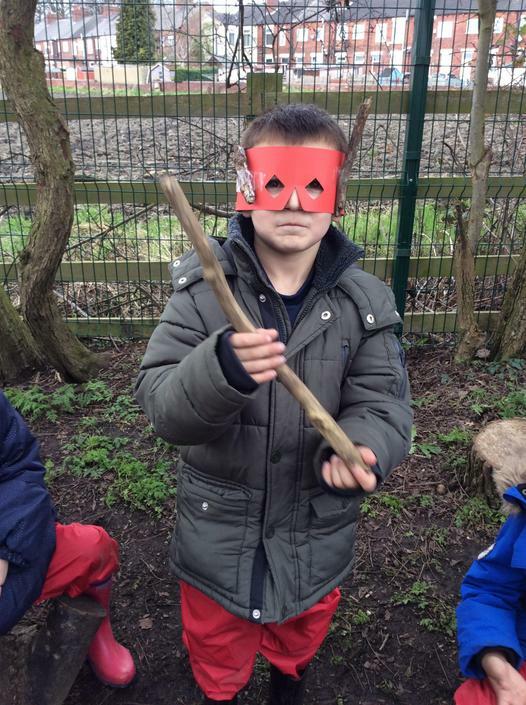 We are Forest School Heroes. Working out the age of trees. Why is there a triangle in the middle? It's not a just stick. Even washing hands is a journey of discovery. Learning how to use tools safely and whittle wood. 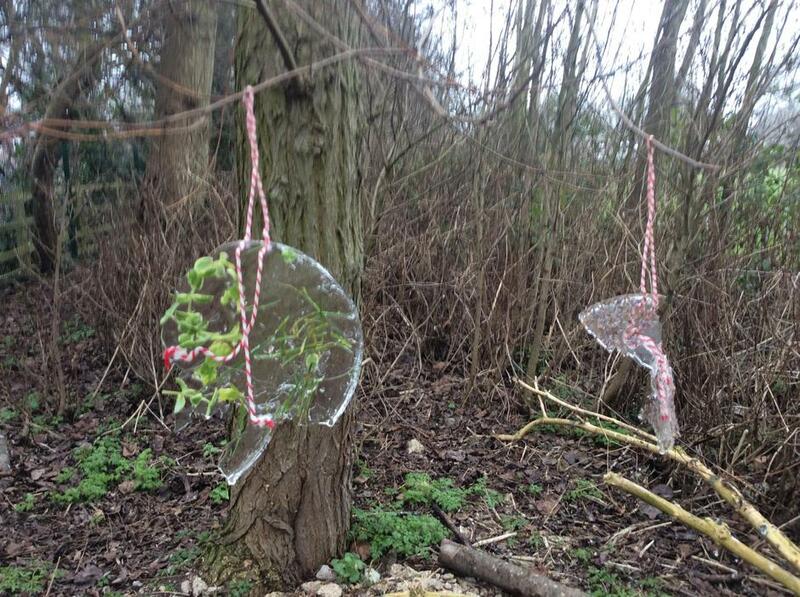 Nature art, seed pod moustaches and ice mobiles. 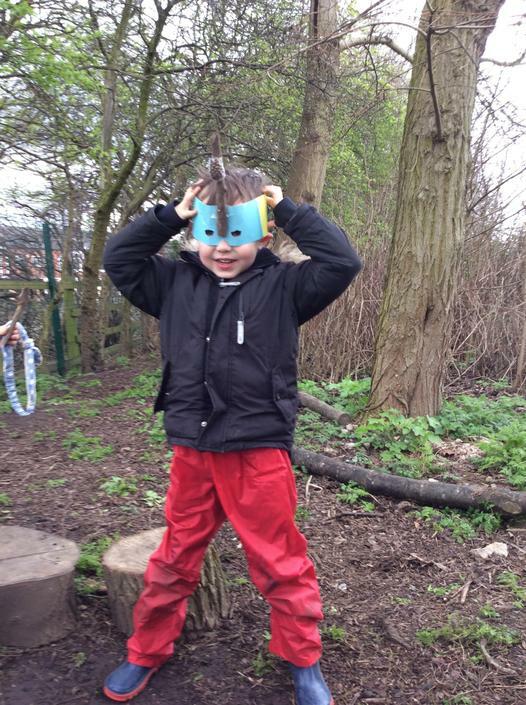 Creative times at Forest School. Exploring ice in the cold weather. Warm water melts the ice. What a lovely day! 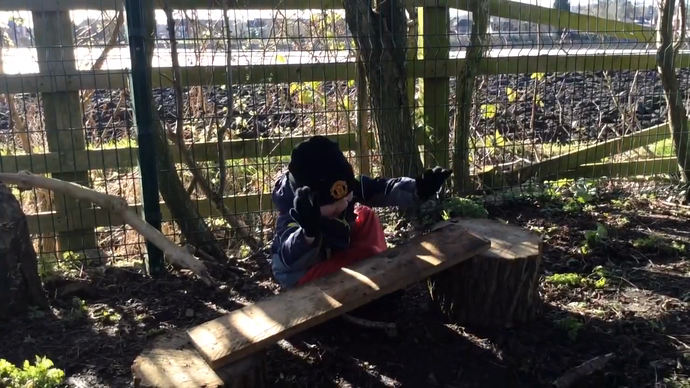 The children were set a challenge to get a 'fish' (it was actually a ball) across the shark infested sea (our woodland floor) to the safety of a bowl, without touching the fish. 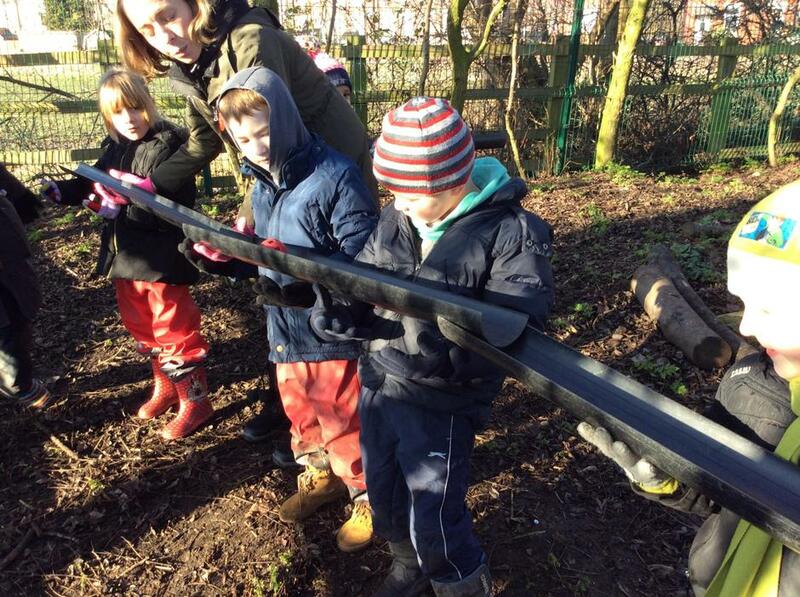 We had plastic guttering and anything else they could find in the woodland. They had to work together as team using their communication and problem solving skills. They spent over a hour trying to work out how to do it, only stopping for, what they described as a 'thinking snack' after about 40 minutes. We all discussed their ideas and how well they had done up to that point; they had managed to get the fish half way to the bowl but couldn't quite figure out how to get it all the way. 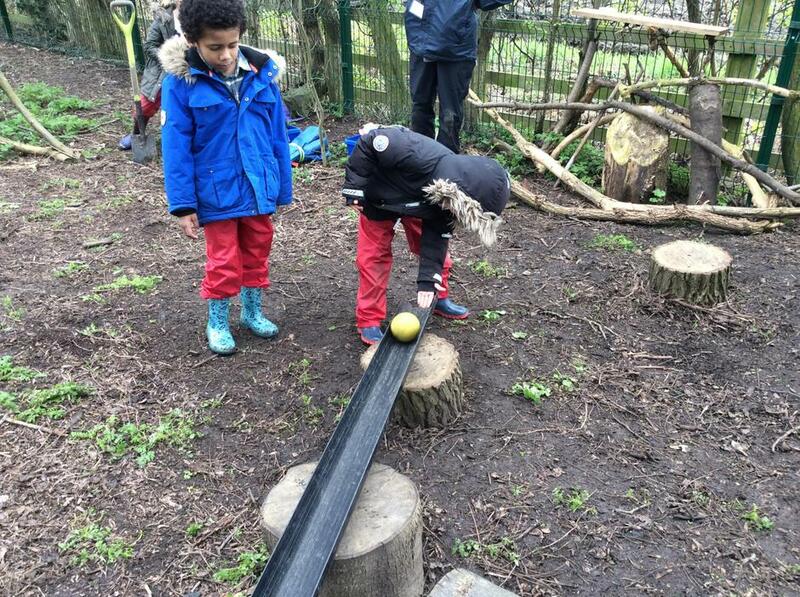 They had played with the guttering, rolling the ball along it to see how it moved as they lifted or tilted it, everyone contributed something and worked out how to make the 'fish swim faster and slower' along the'motorway' of black guttering. 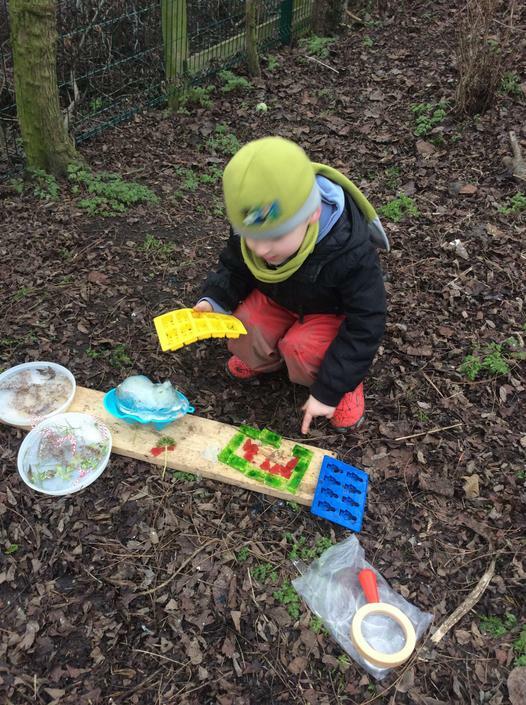 One child really thought outside the box and slid the 'fish' onto a stick (so he didn't touch it) and suggested that he flip the fish off the stick and get it into the bowl! Wow, creative thinking indeed! He couldn't quite manage to hit the target from the set distance but what problem solving skills! After having taken the time to sit and think, the answer came to them, yeah! 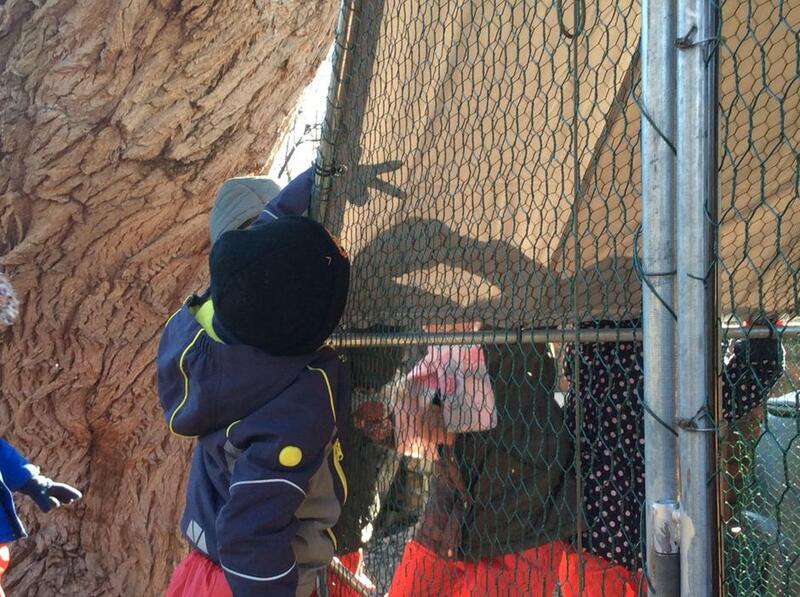 We played a celebratory tune and a little Robin hopped onto the fence to listen. 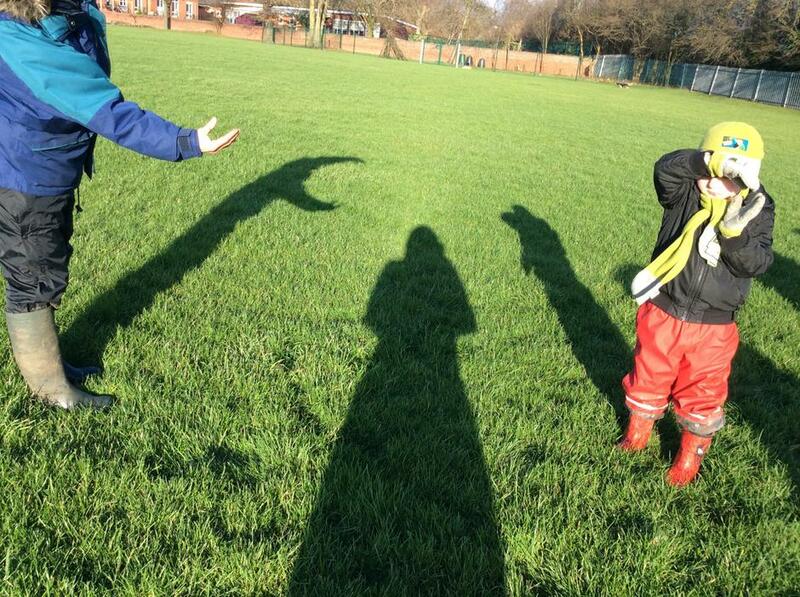 Later we made letter shape shadows and had story time. The children were very keen to prepare stories to tell each other next week, we can't wait to hear them. 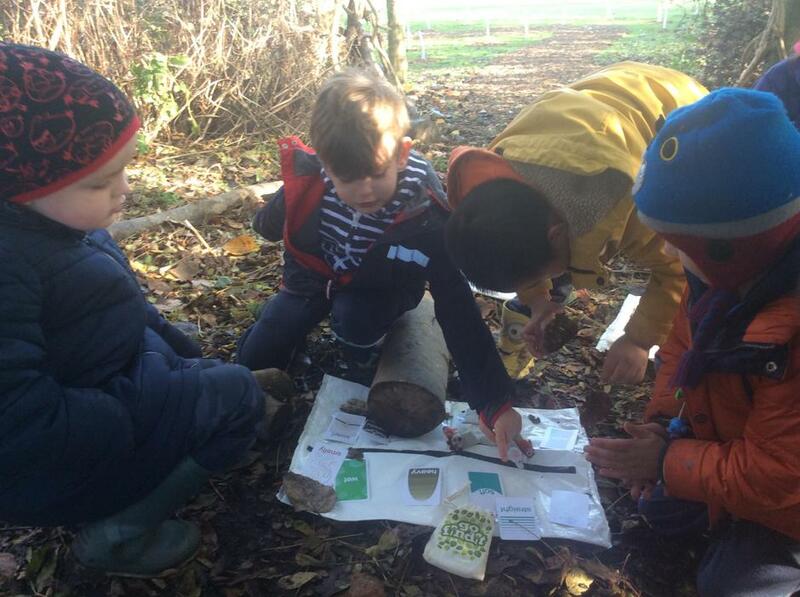 It was this groups last Forest School session. 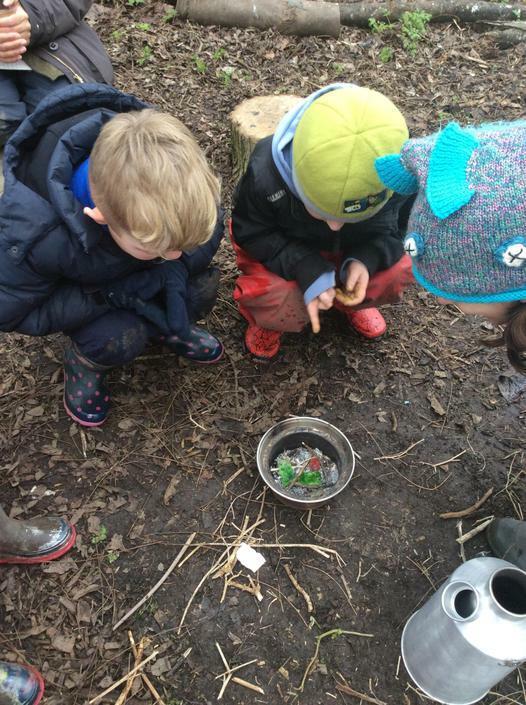 We went on a Bear Hunt and found chocolate bears! 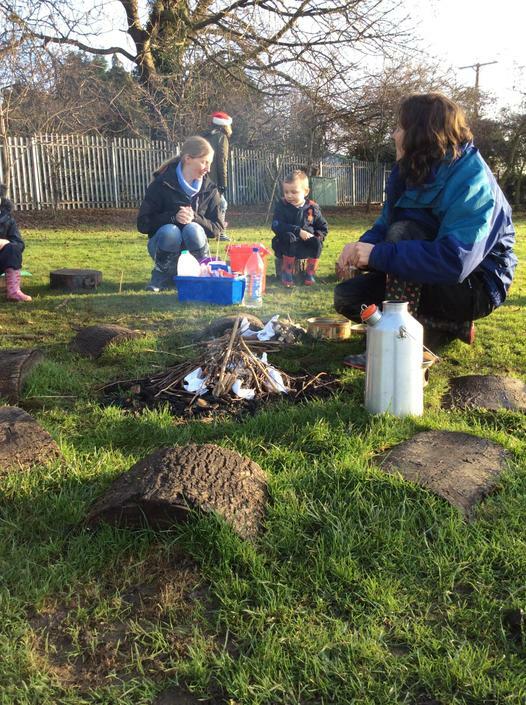 We learnt about working safely with fire, the fire triangle and how to cook on a fire. 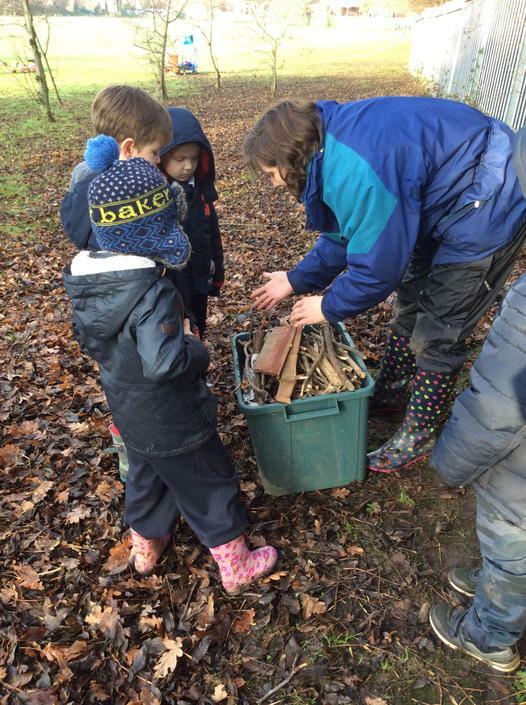 We used our maths skills to order the wood into the small, medium and large pieces, then used the smallest pieces for tinder to get the fire going. We inspected the wood carefully to see if it was dry enough to burn. 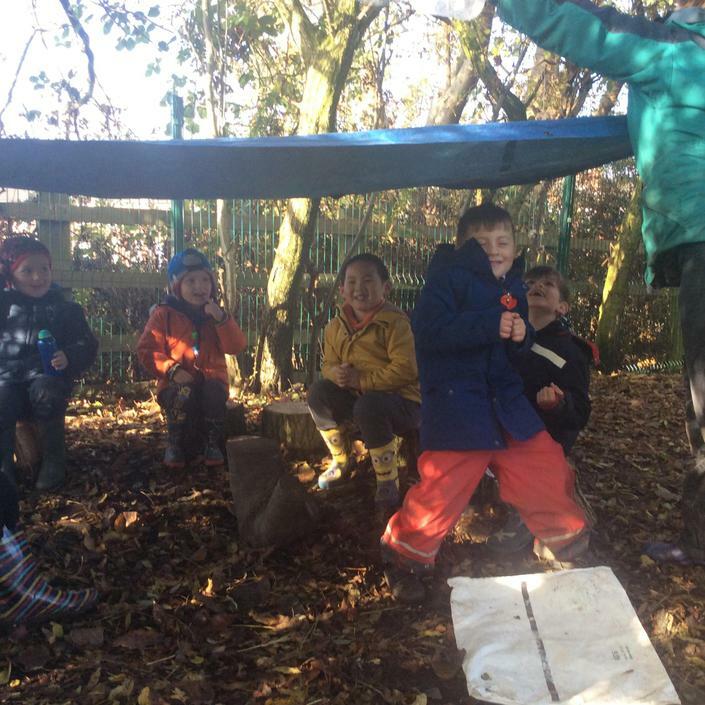 The children talked about rubbing sticks together to create friction to get a fire started but we used the flint and steel instead and we're delighted when it worked! We thought about how much time we had for the fire and how big we should make it, how we should only use wood that has already been taken from the trees and not damage any more trees because trees are the lungs of the planet and help us to breathe. The children came up with some very sensible fire safety rules. 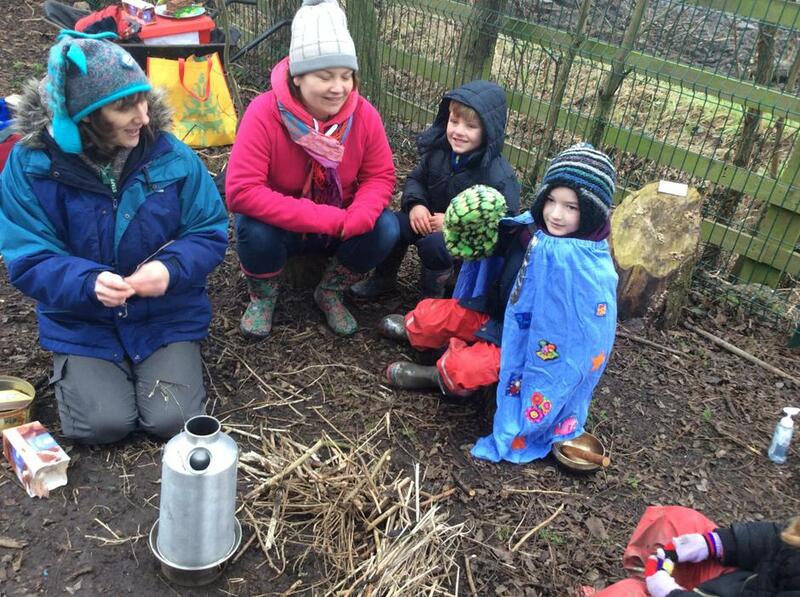 We toasted marshmallows and made hot chocolate in the Kelly Kettle. At the end of the session we all made sure that the fire was completely extinguished before we left the site so that it is safe for other people and wild life. What a lovely time we had. Merry Christmas everyone and a big thank you to our parent helpers. 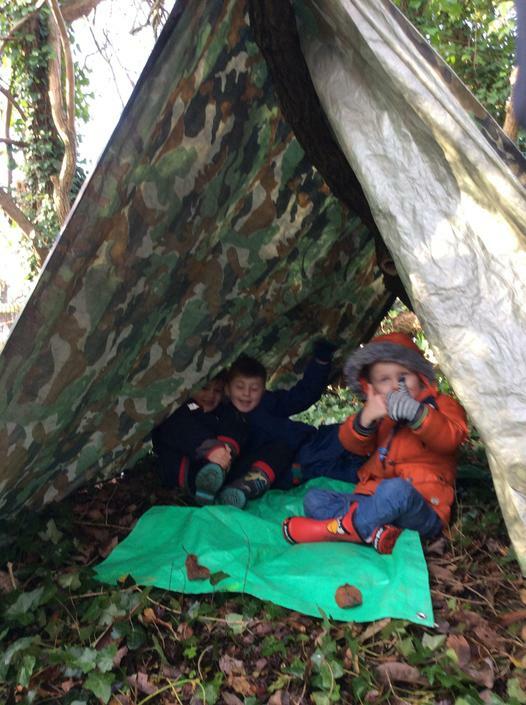 Learning lots of things while having fun building dens. "Where shall we build it?" "Near this ivy swing!" What shape should it be? We need to learn how to tie knots to be able to secure the tarp. We needed to put a carpet on the floor of our den. We explored the hedgehog house and found huge spiders. If we get it clean and tidy for a hedgehog then we might damage the spiders homes, what should we do? Lots of things to think about and decisions to make. 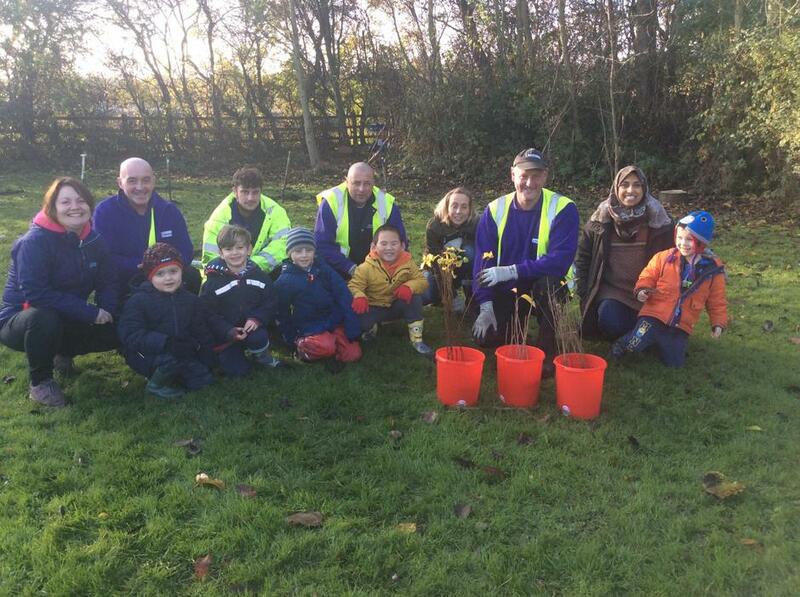 Our first Forest School session and we planted our forest! 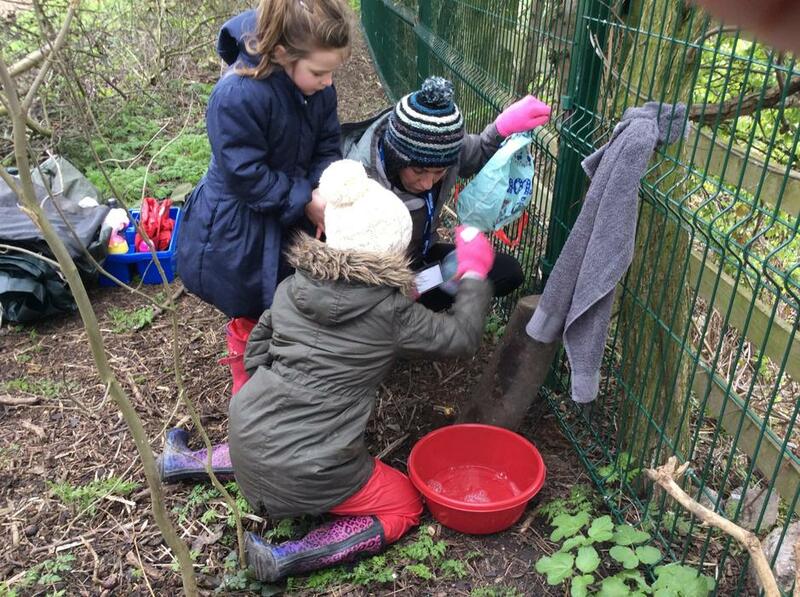 We explored our woodland area, hunted for nature treasures, made a shelter and had great fun seeing if it was water proof! There was even some snow left for us to explore.